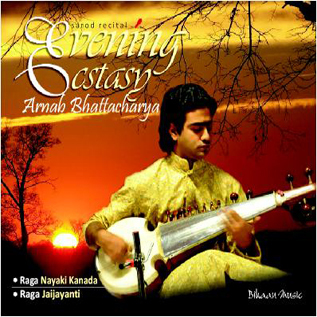 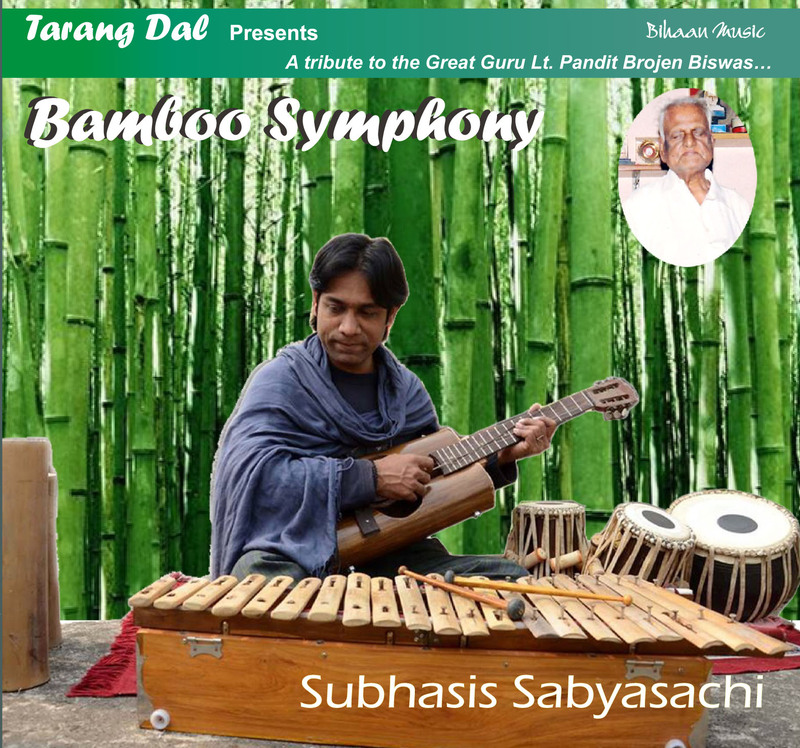 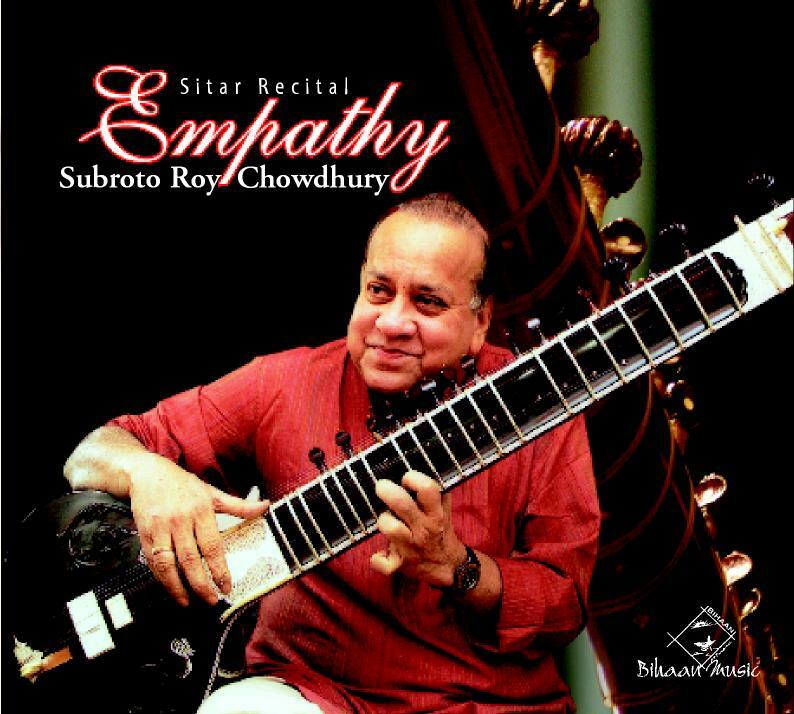 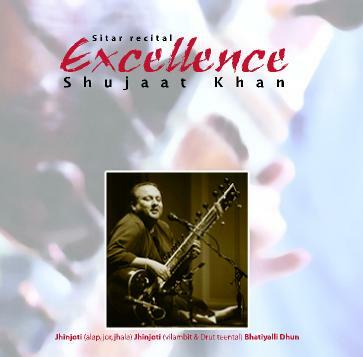 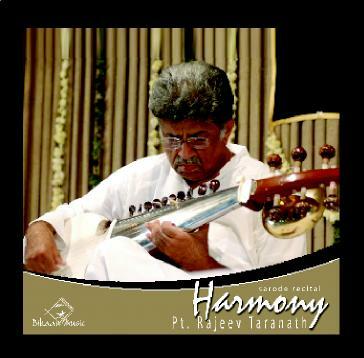 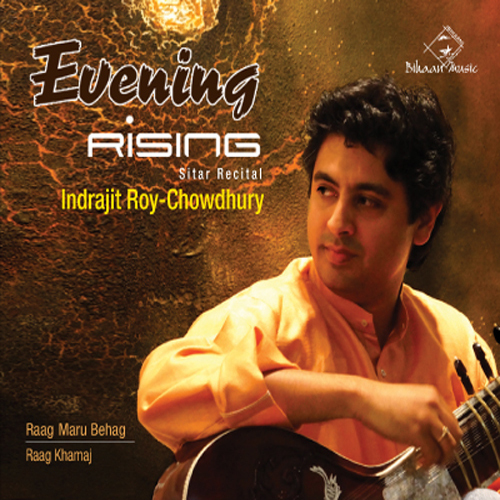 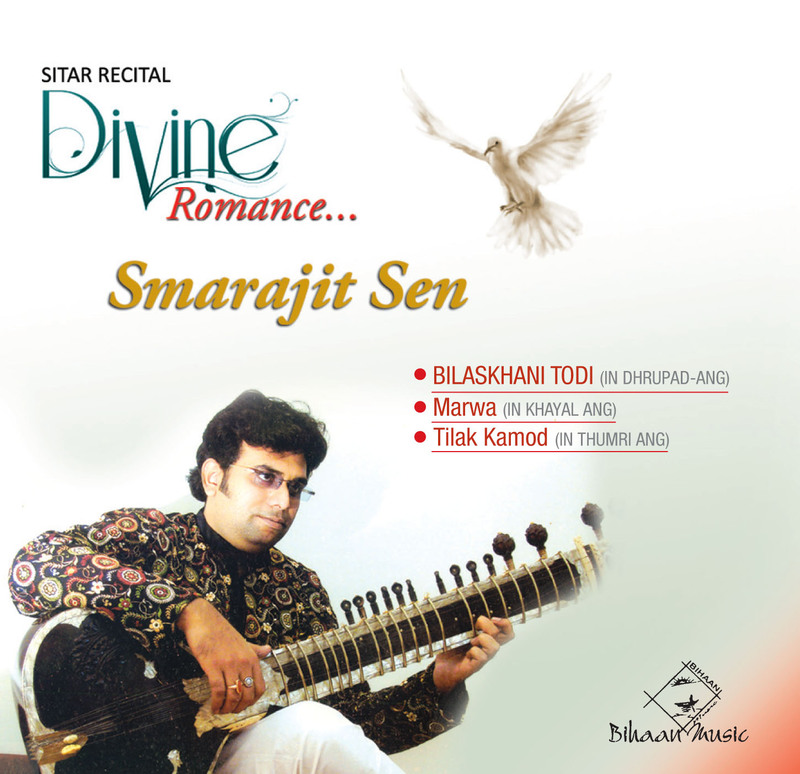 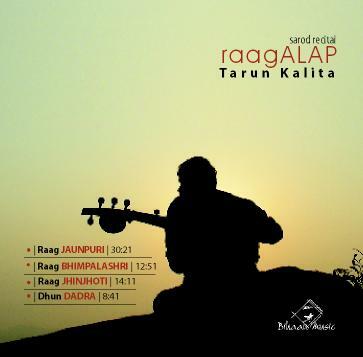 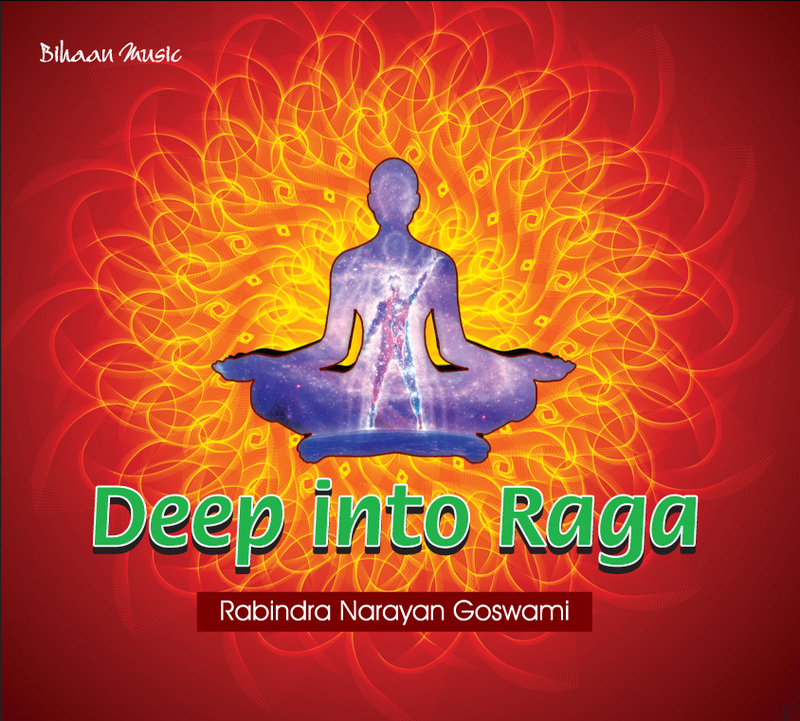 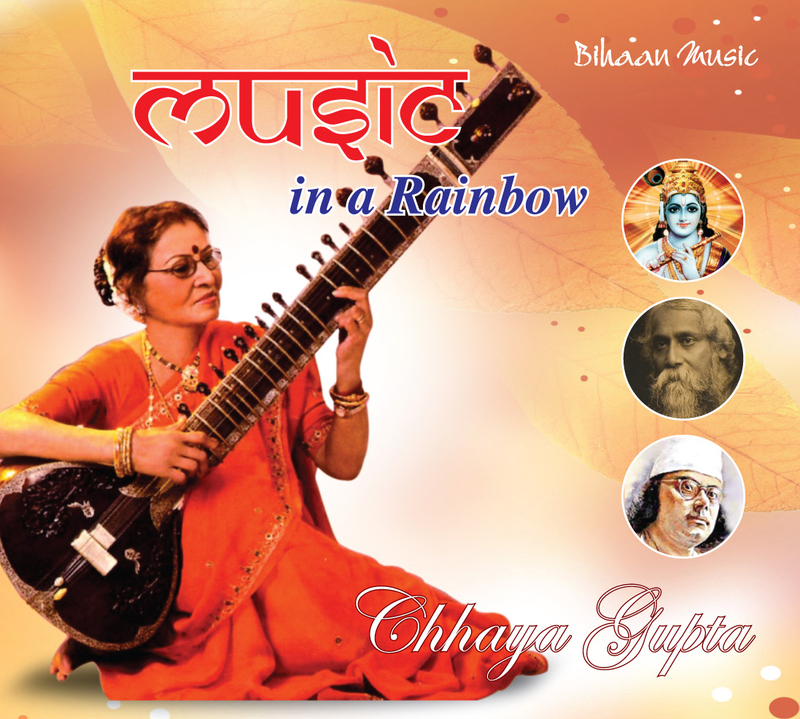 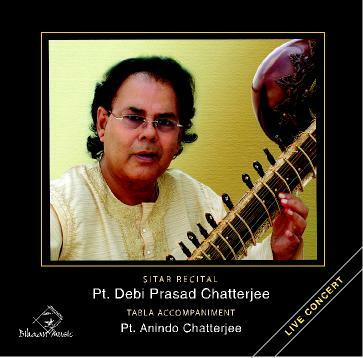 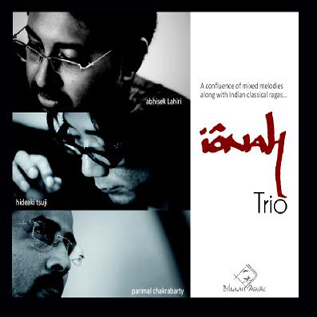 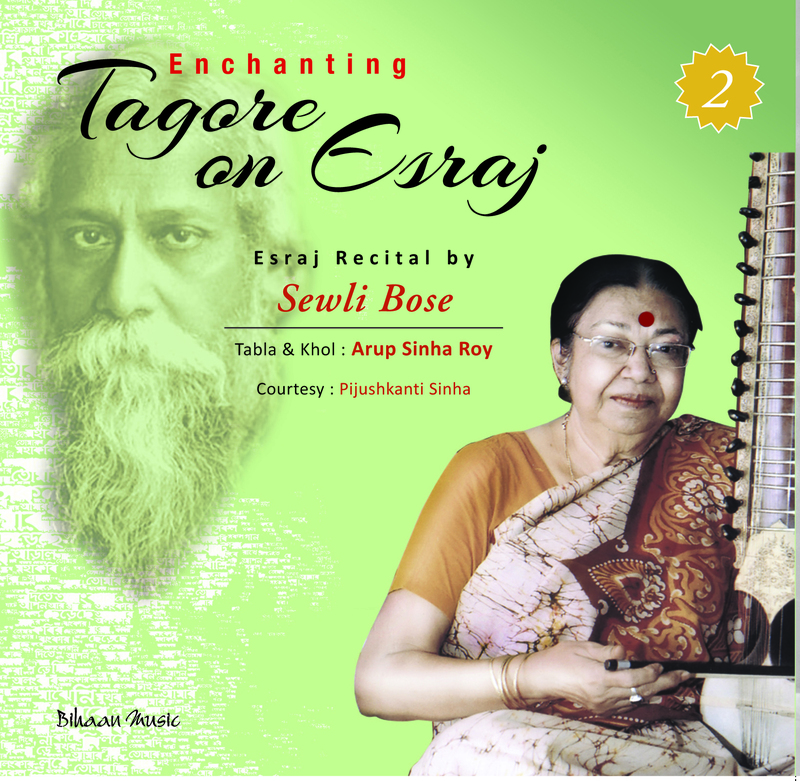 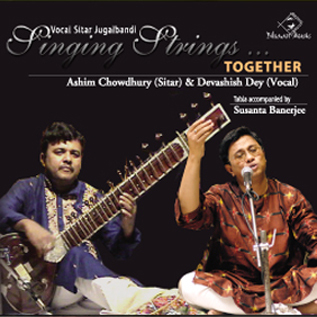 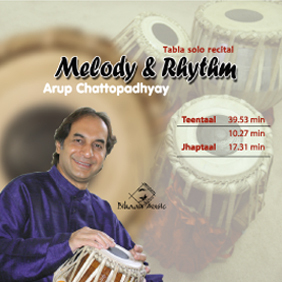 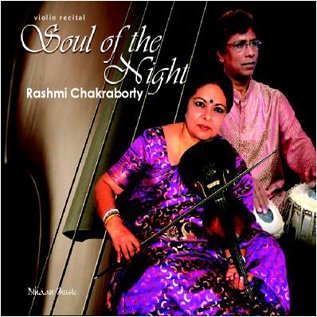 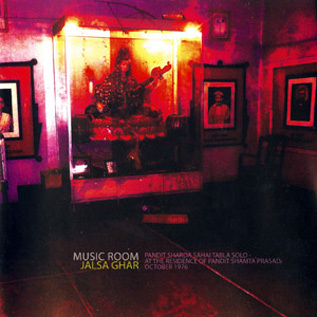 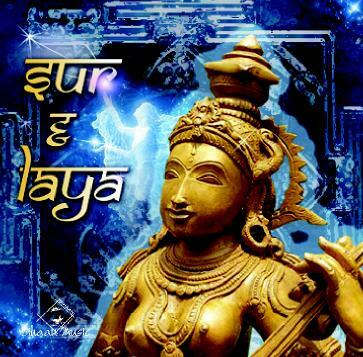 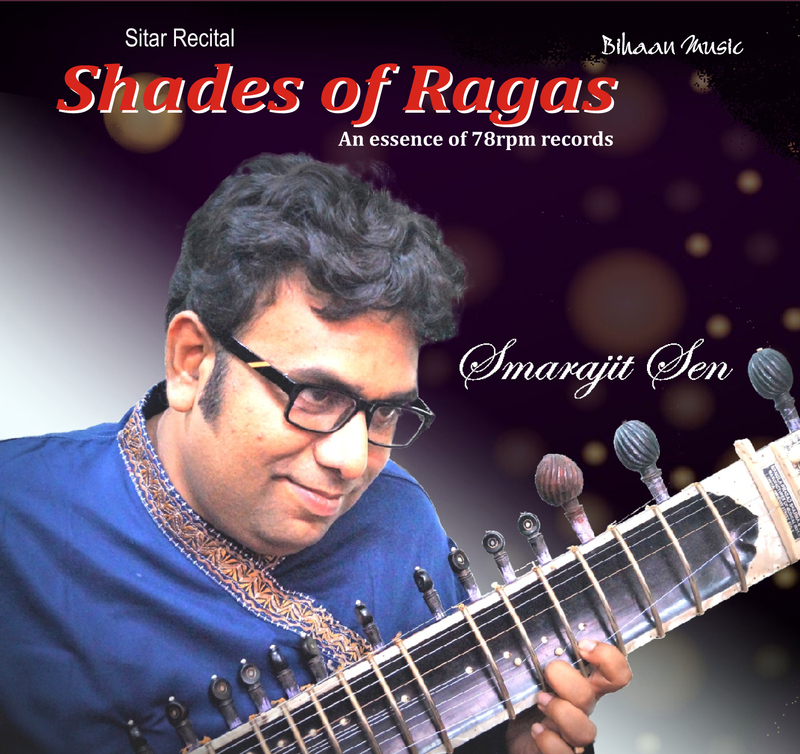 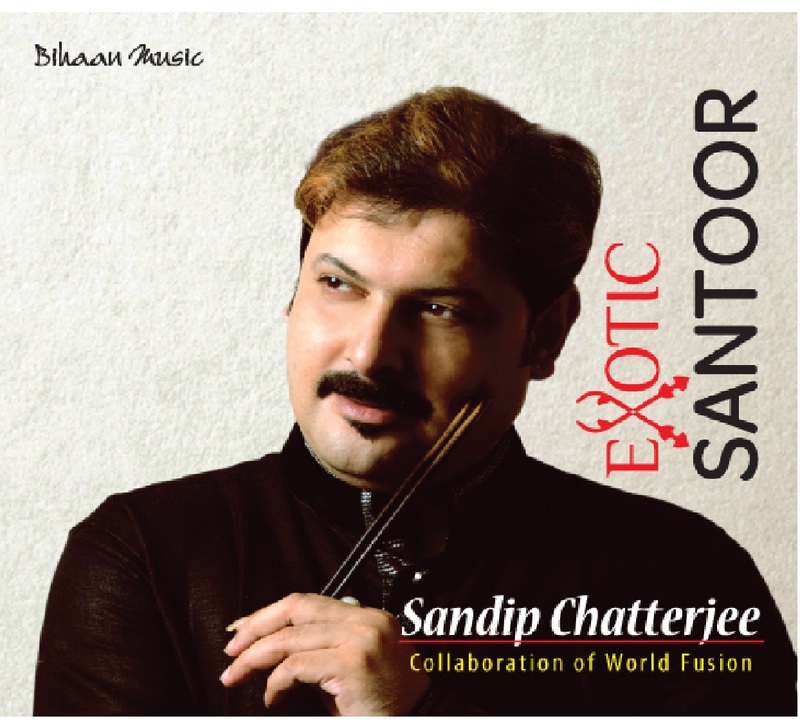 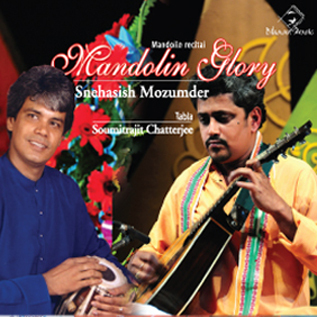 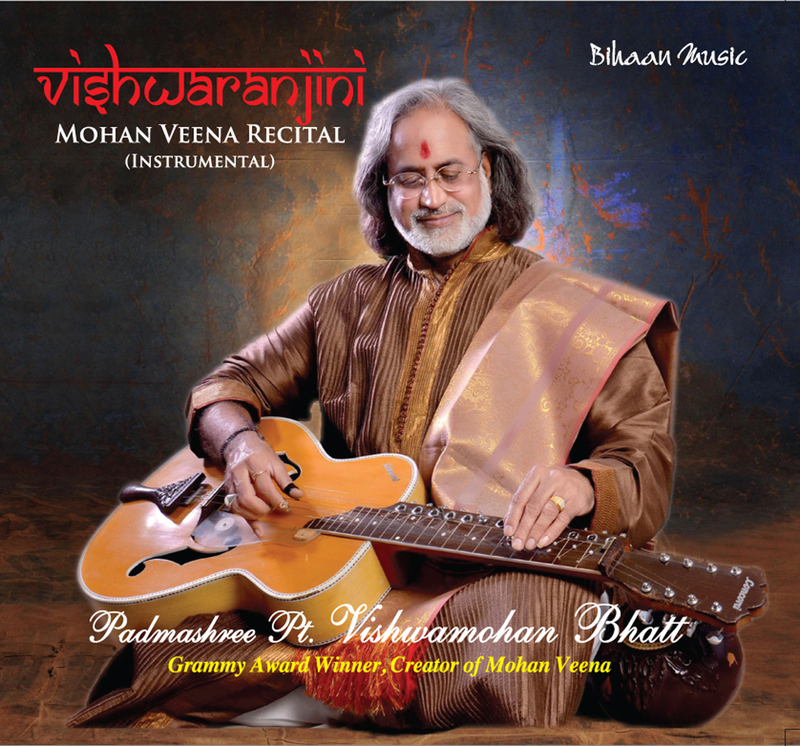 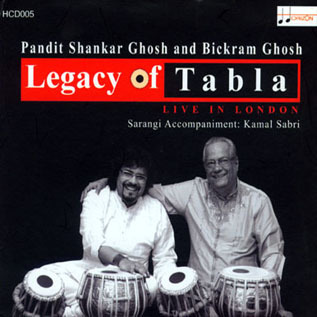 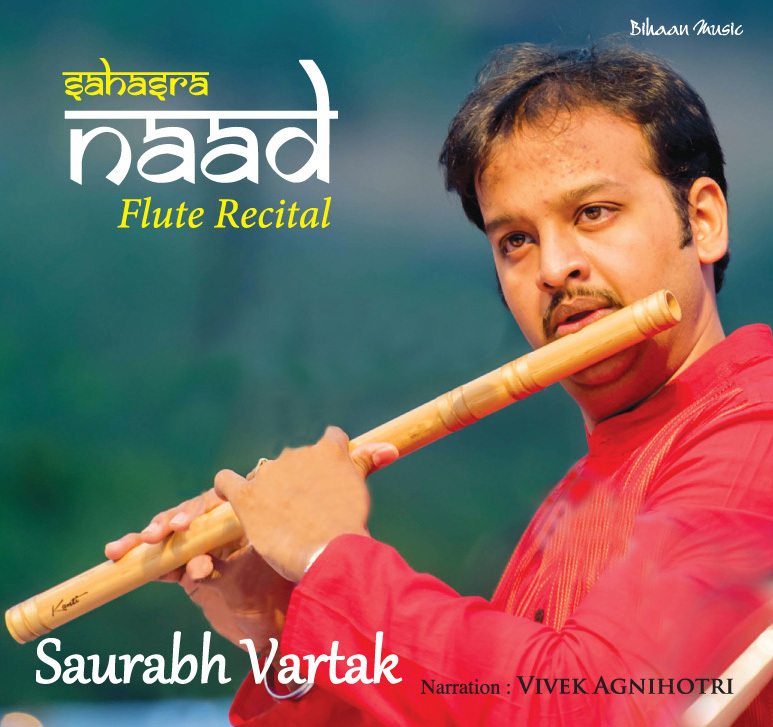 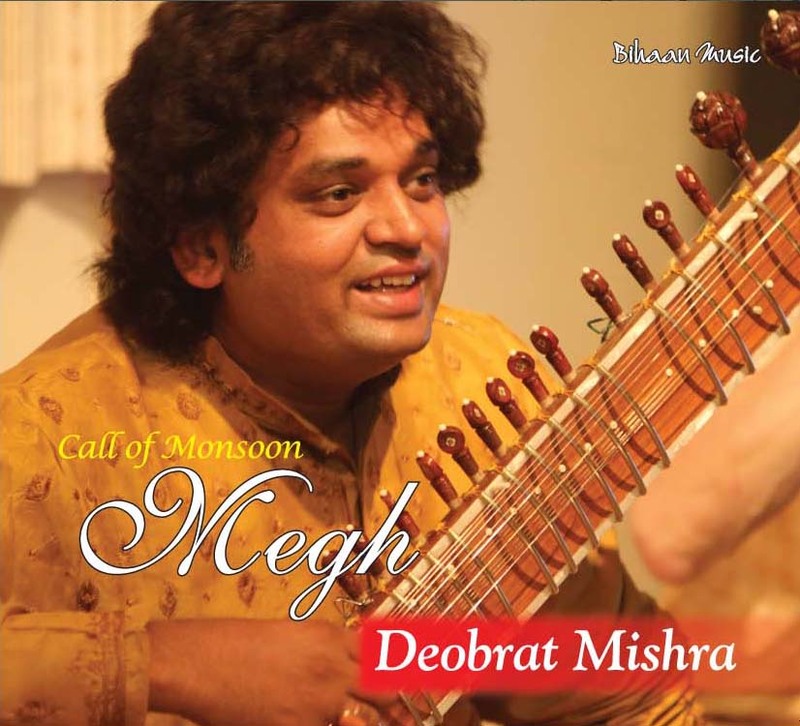 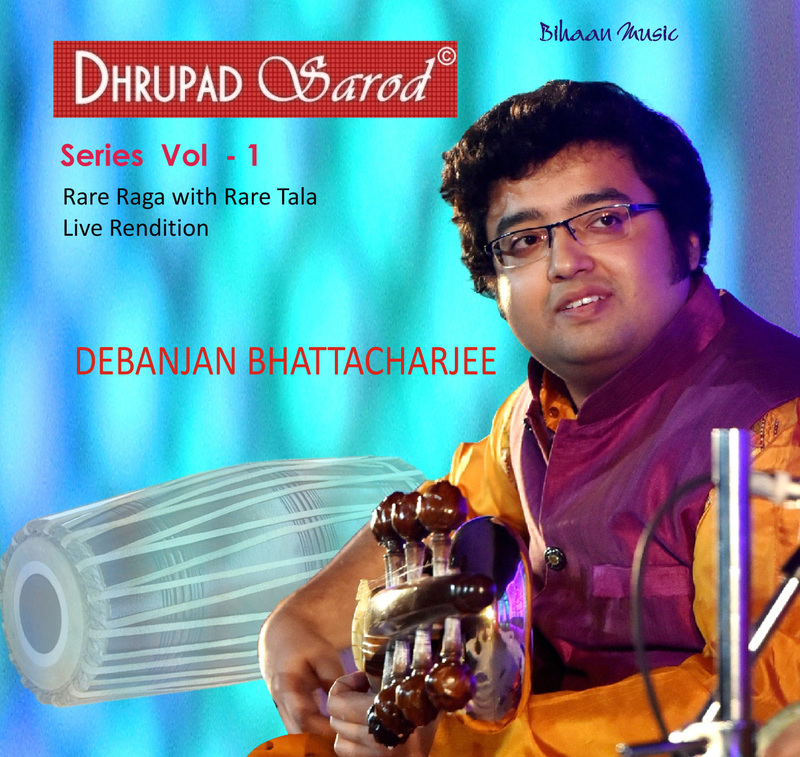 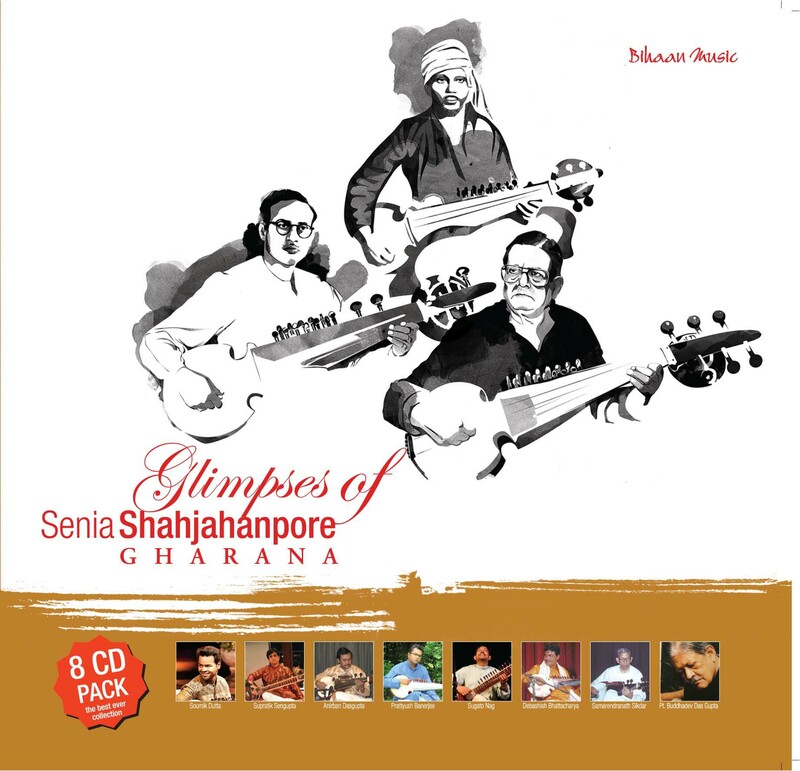 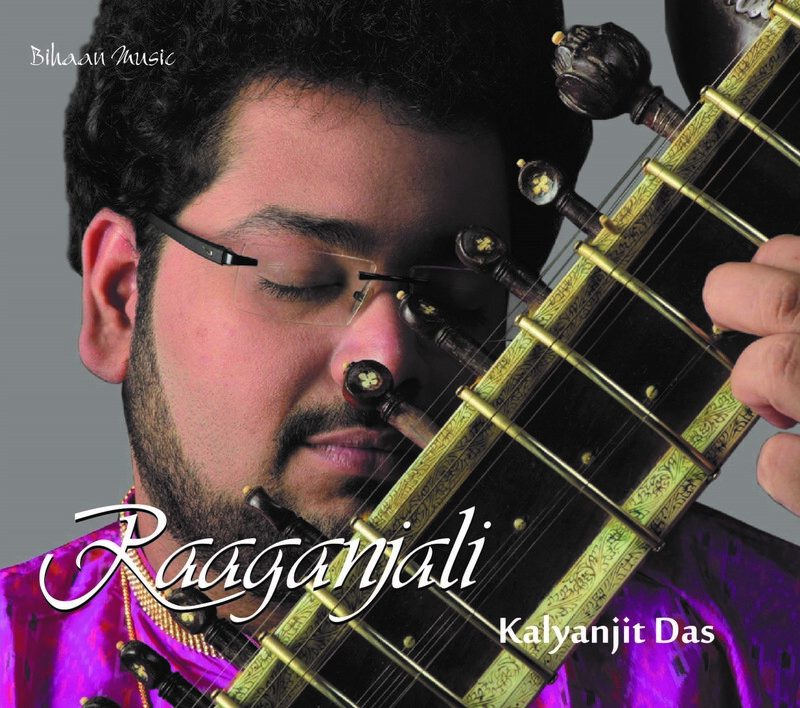 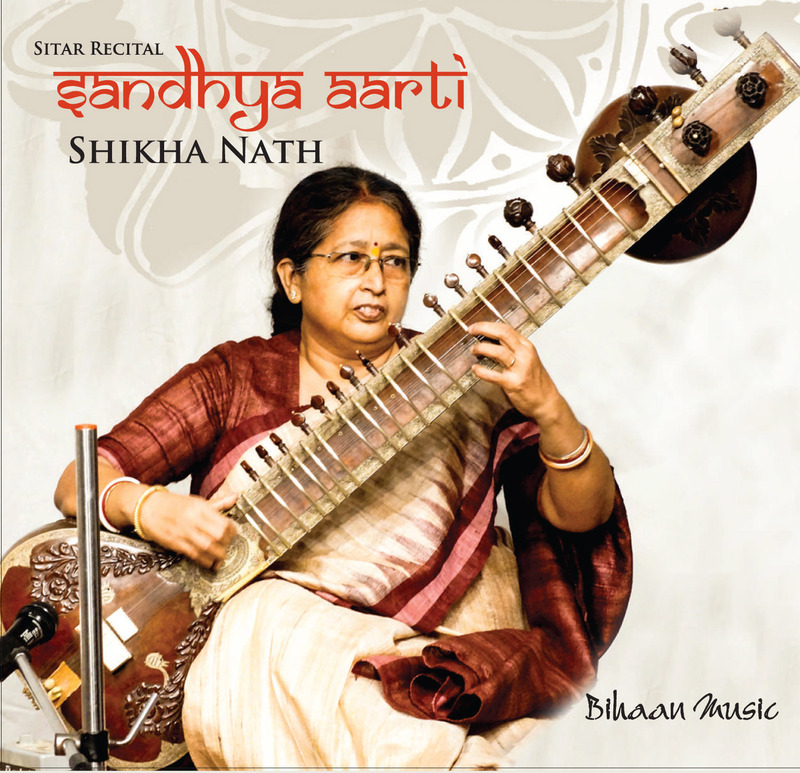 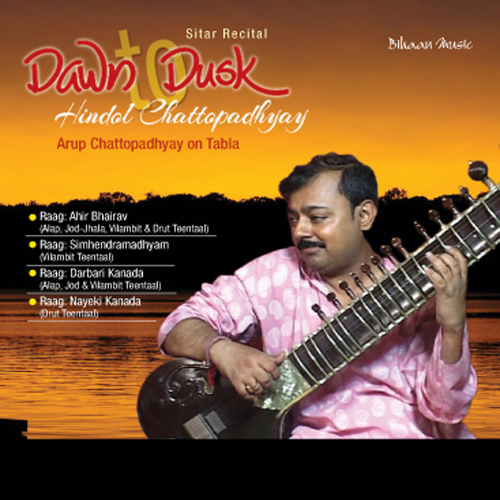 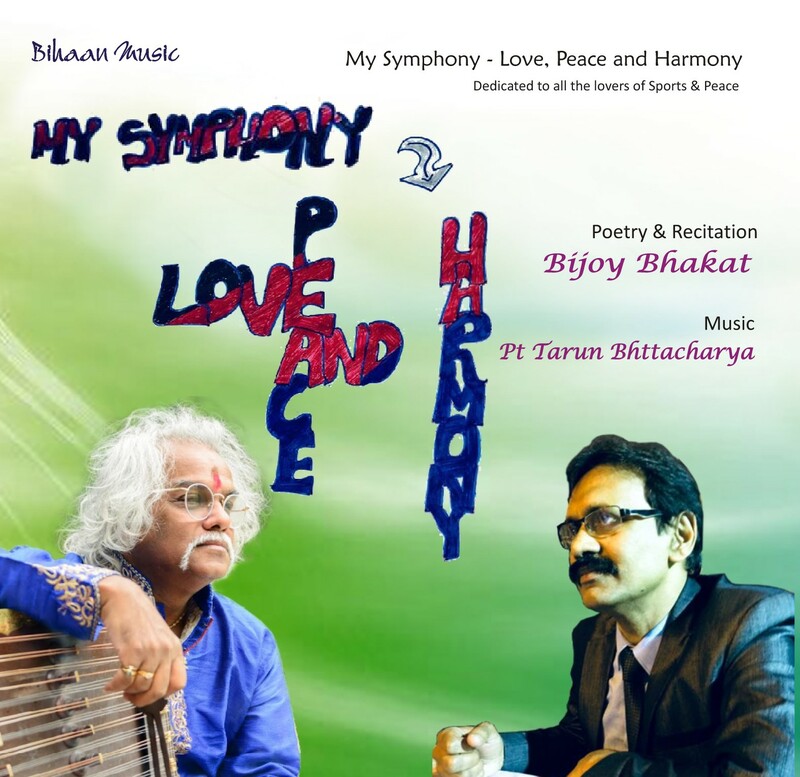 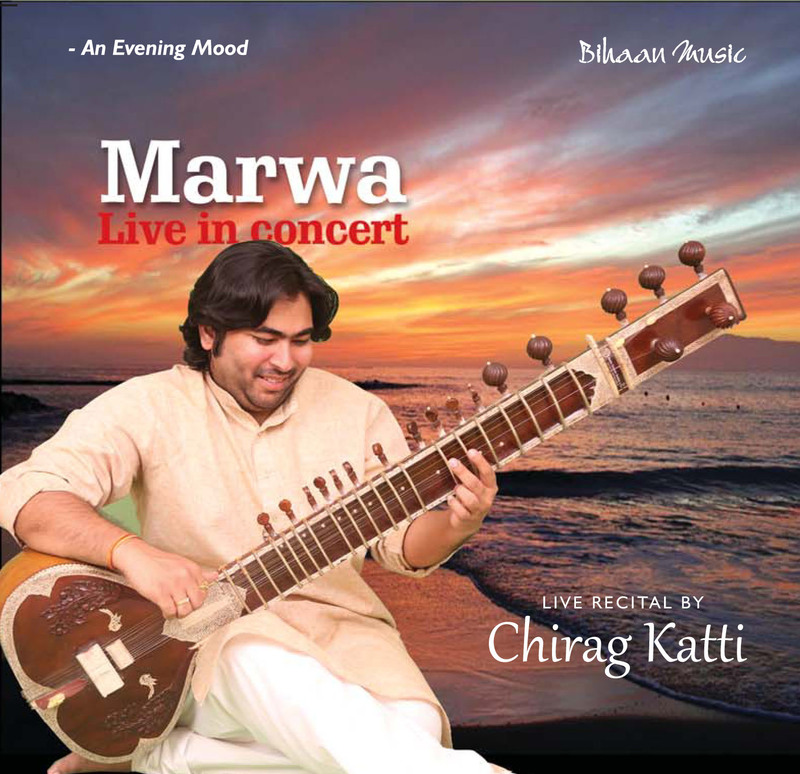 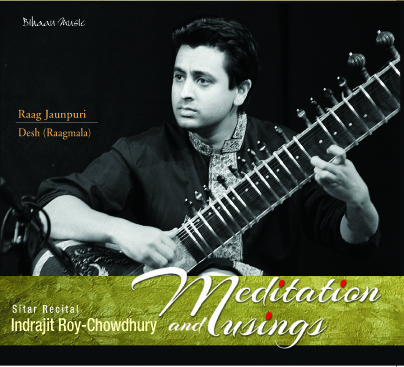 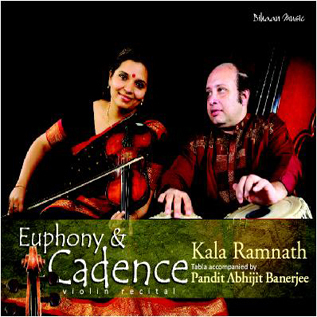 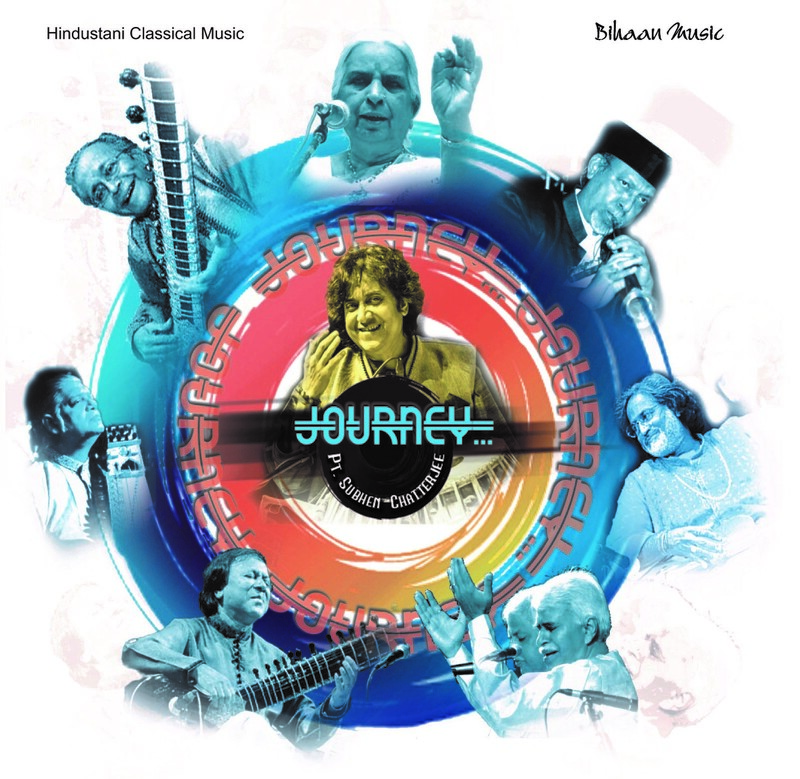 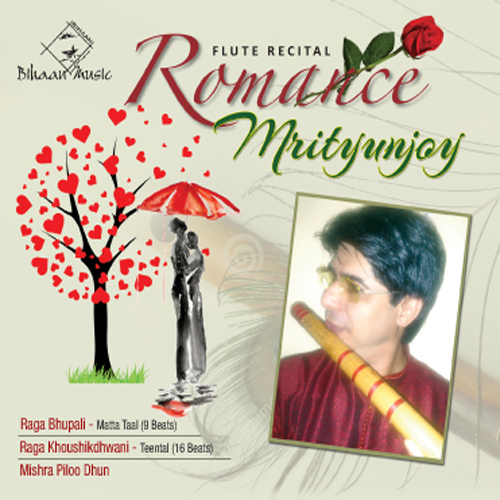 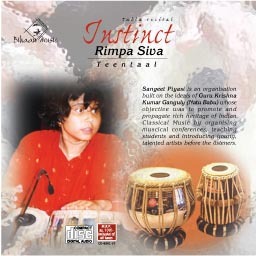 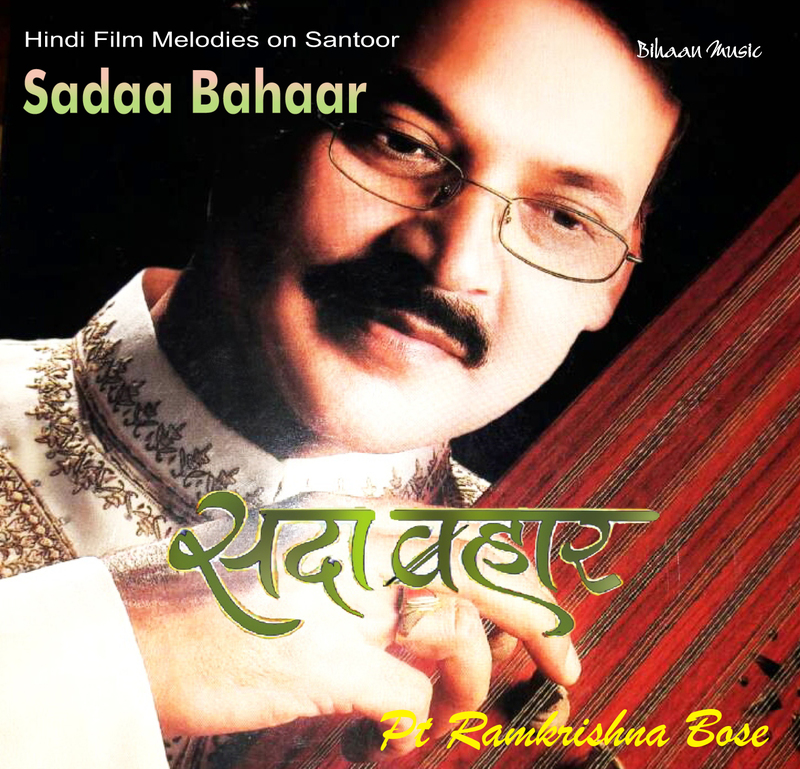 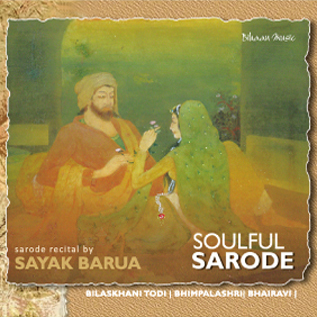 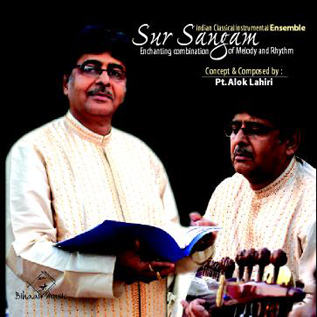 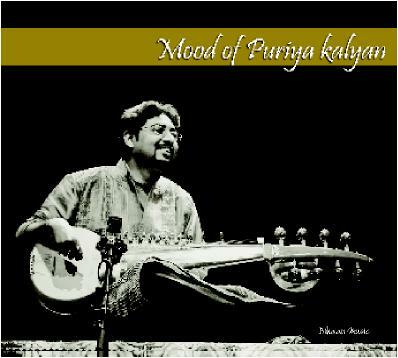 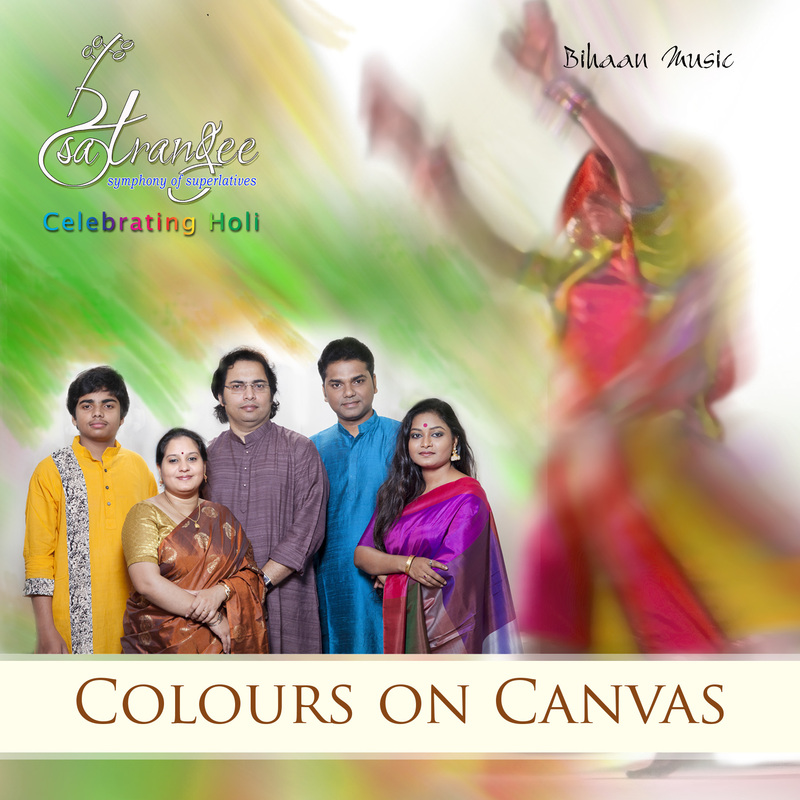 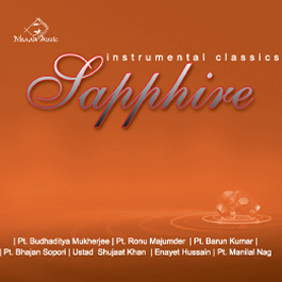 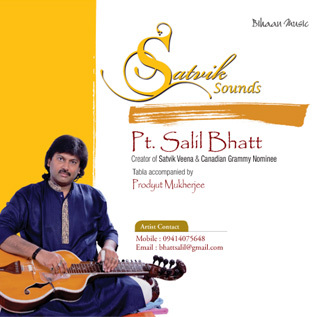 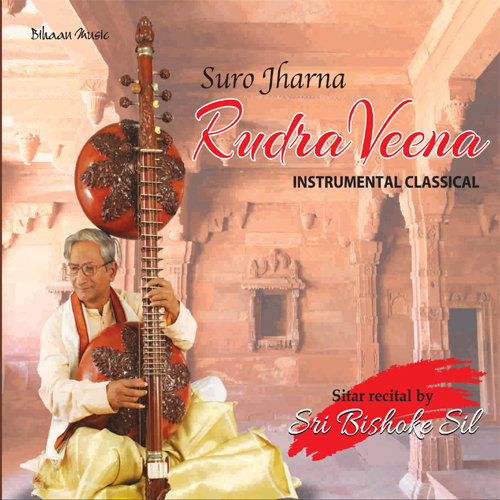 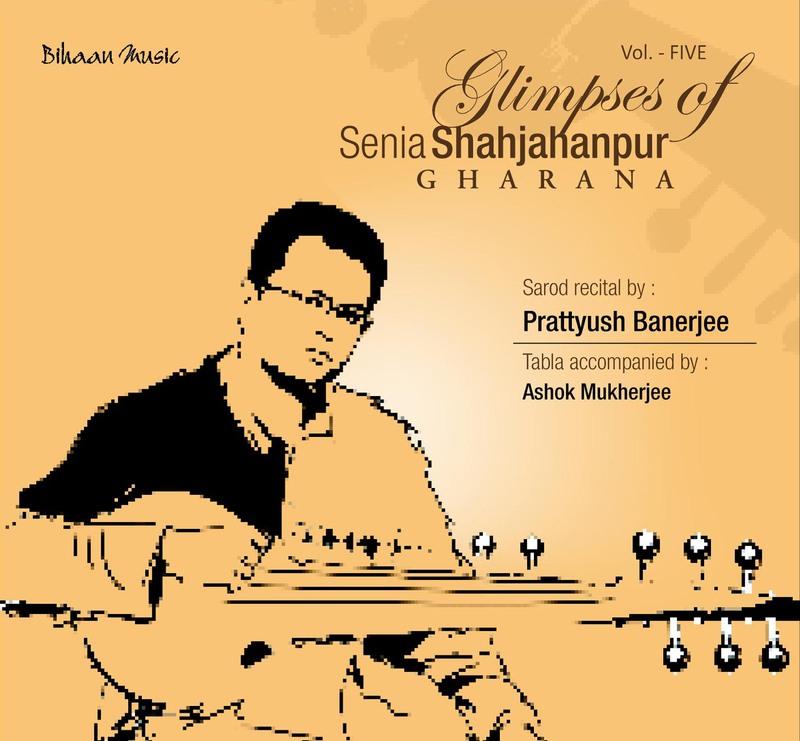 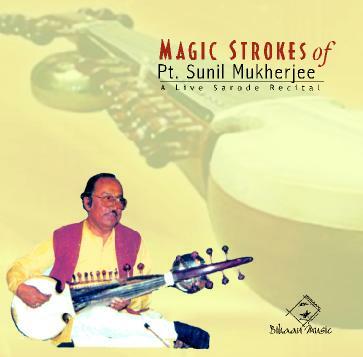 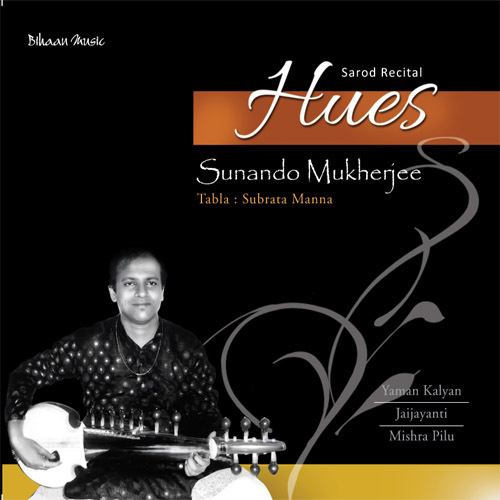 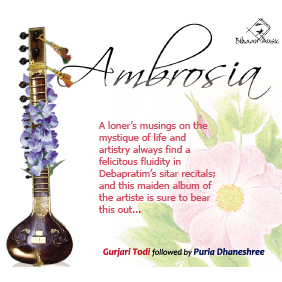 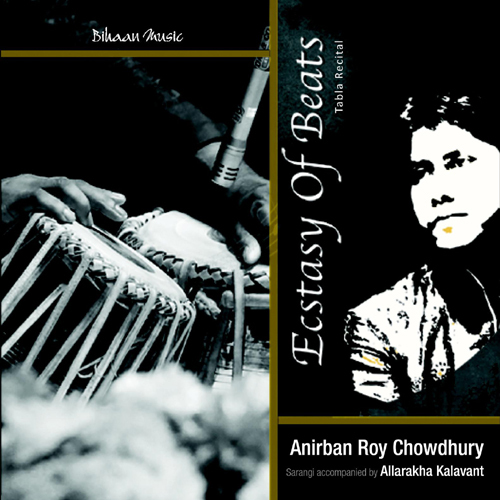 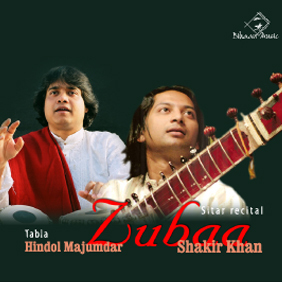 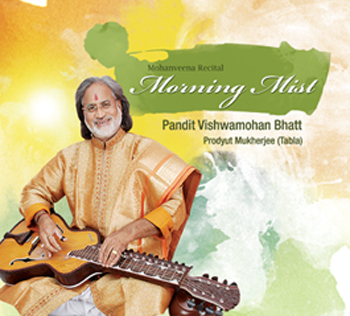 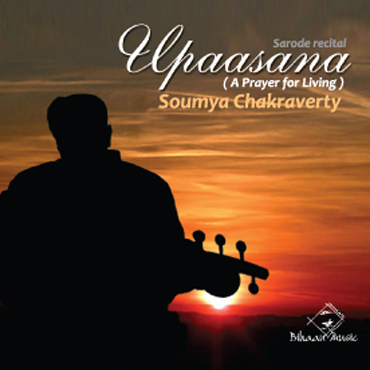 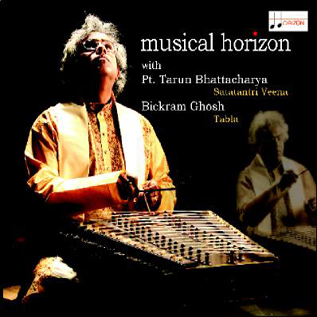 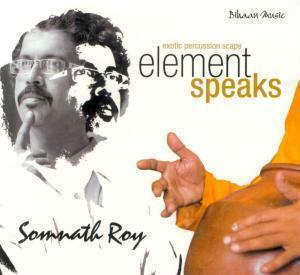 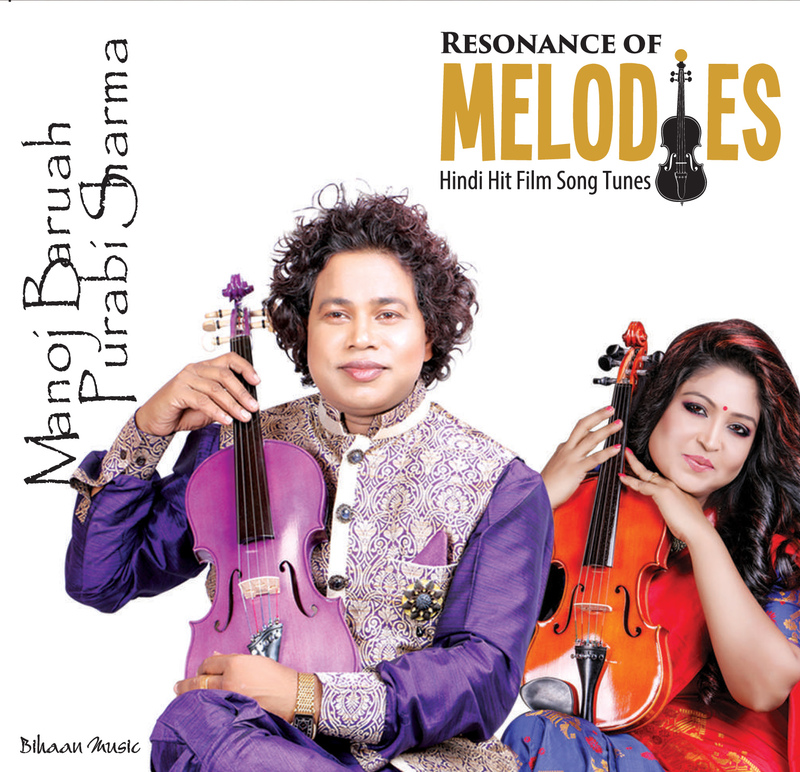 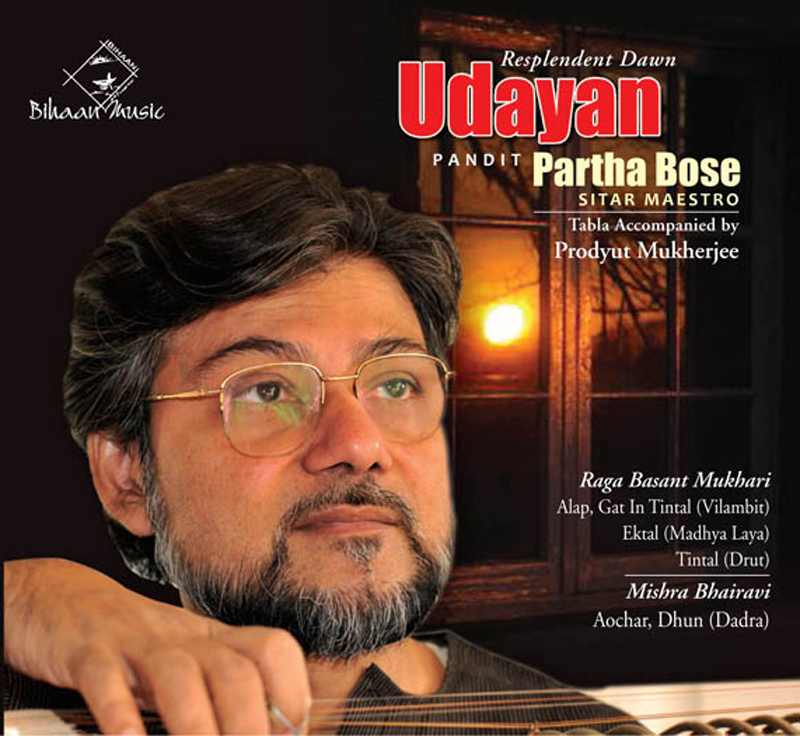 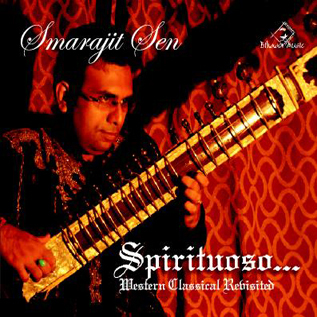 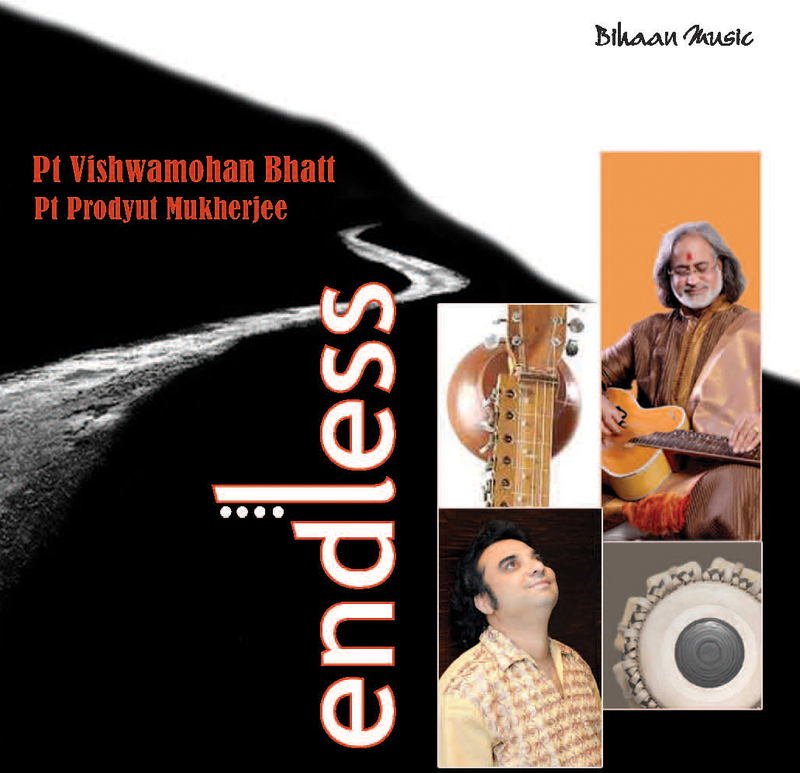 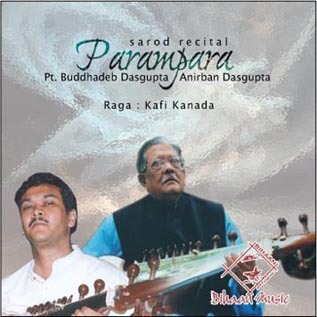 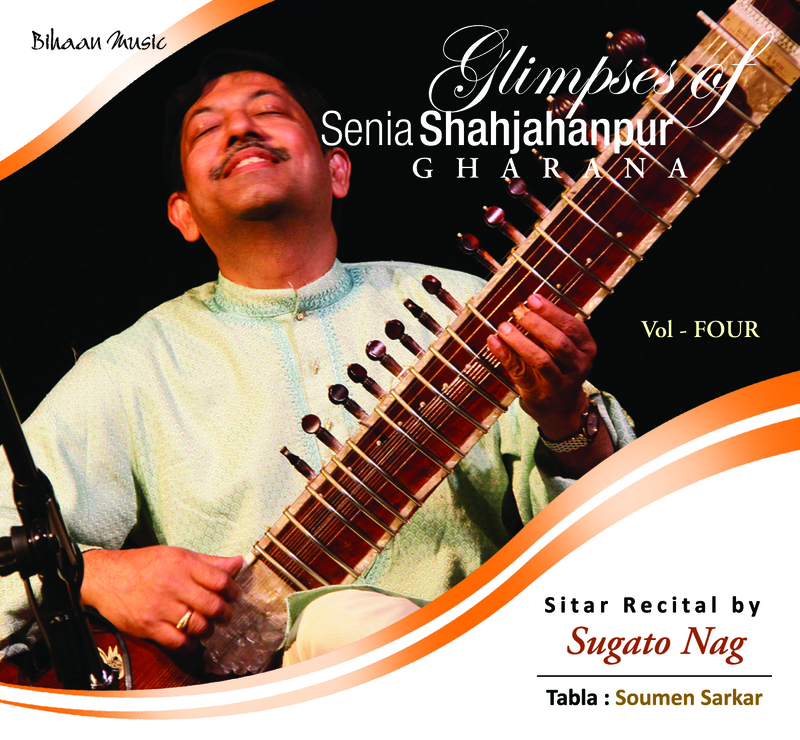 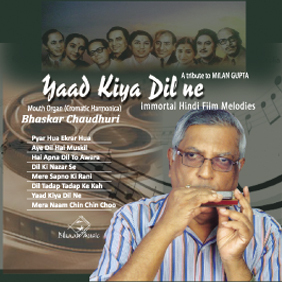 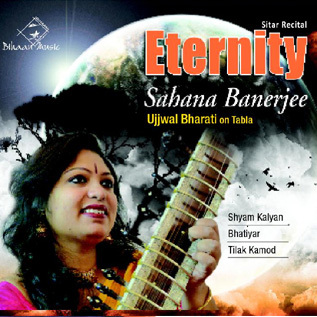 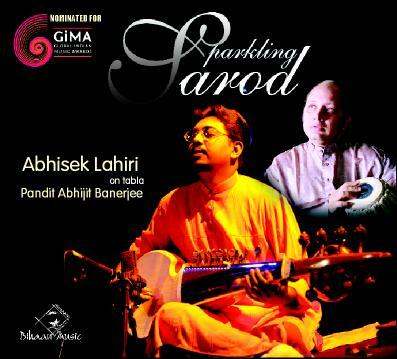 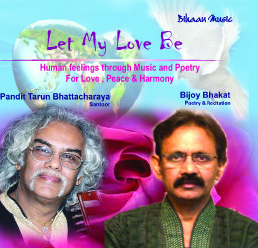 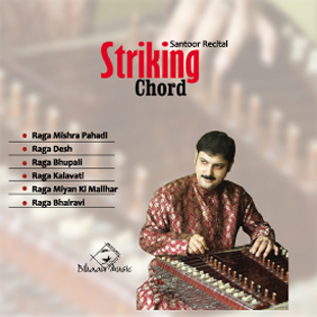 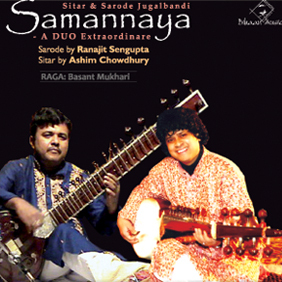 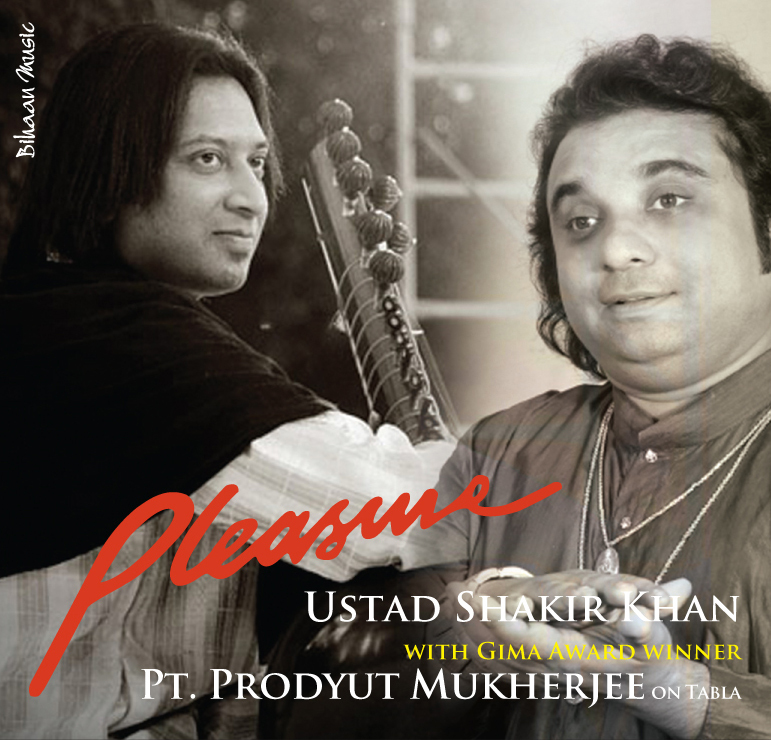 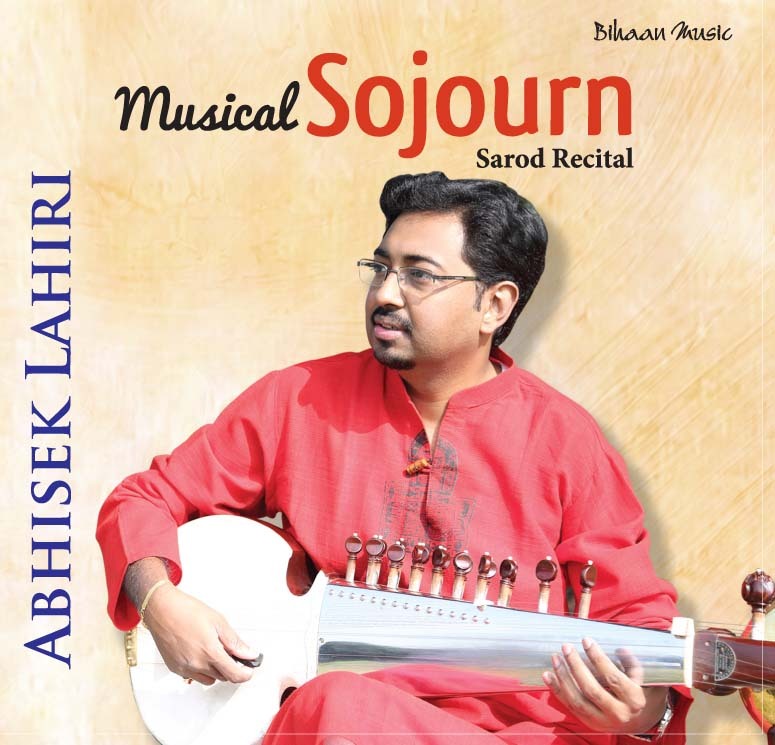 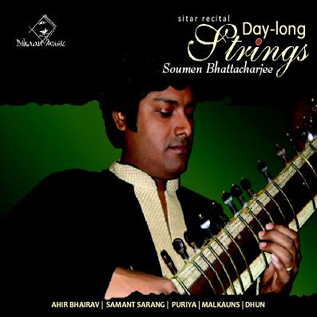 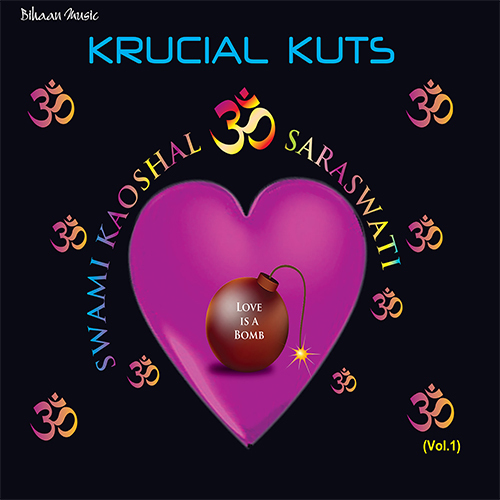 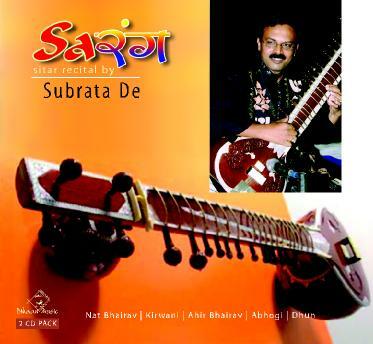 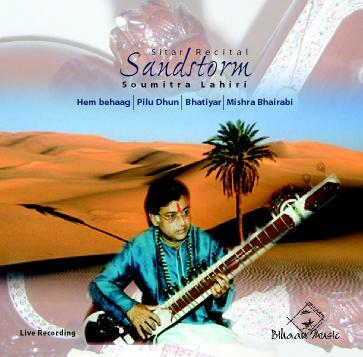 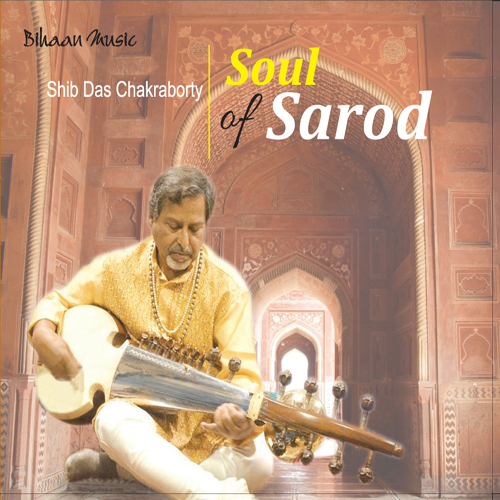 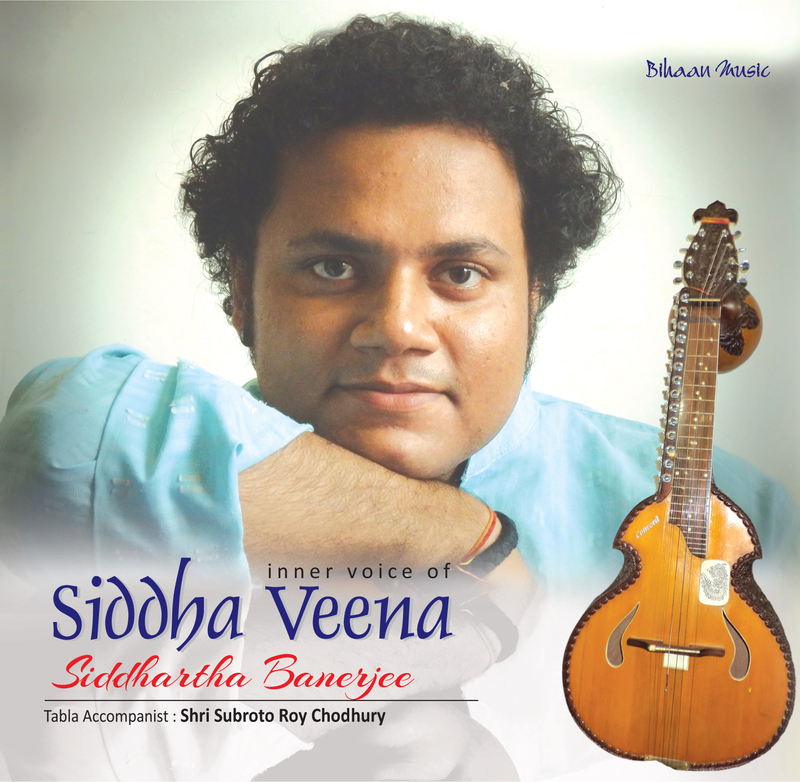 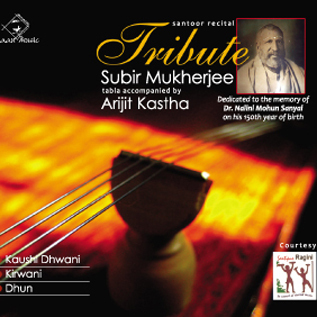 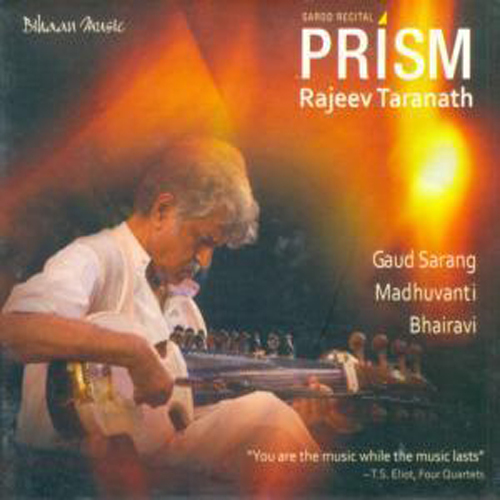 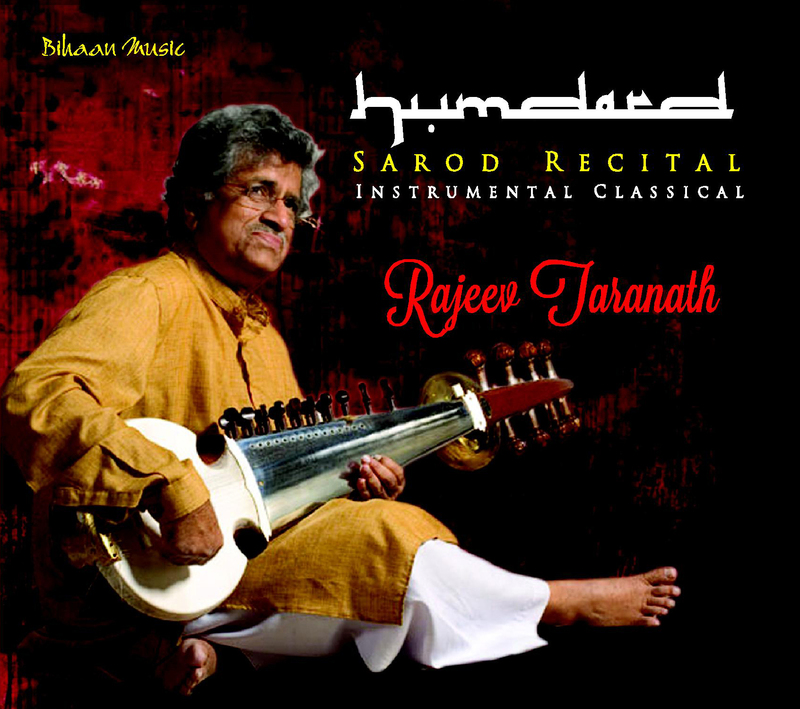 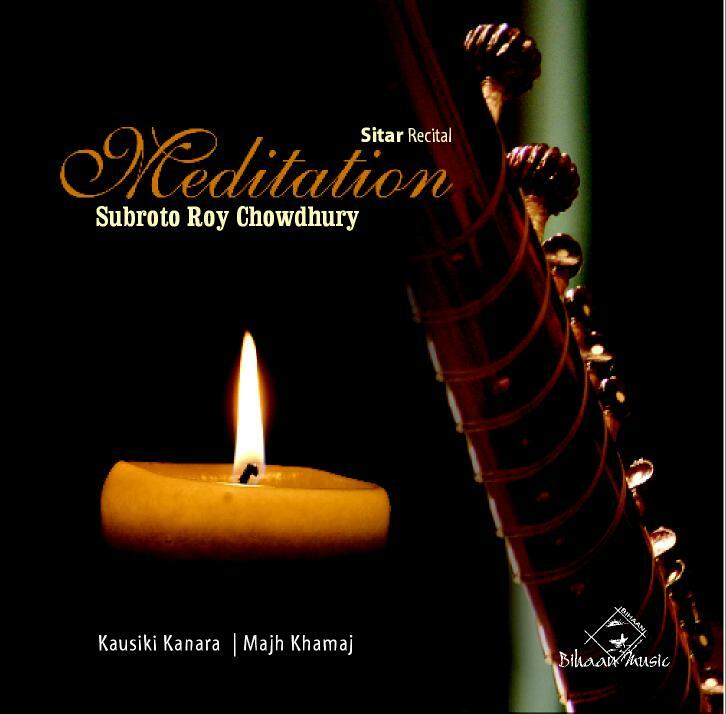 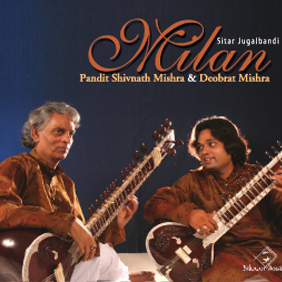 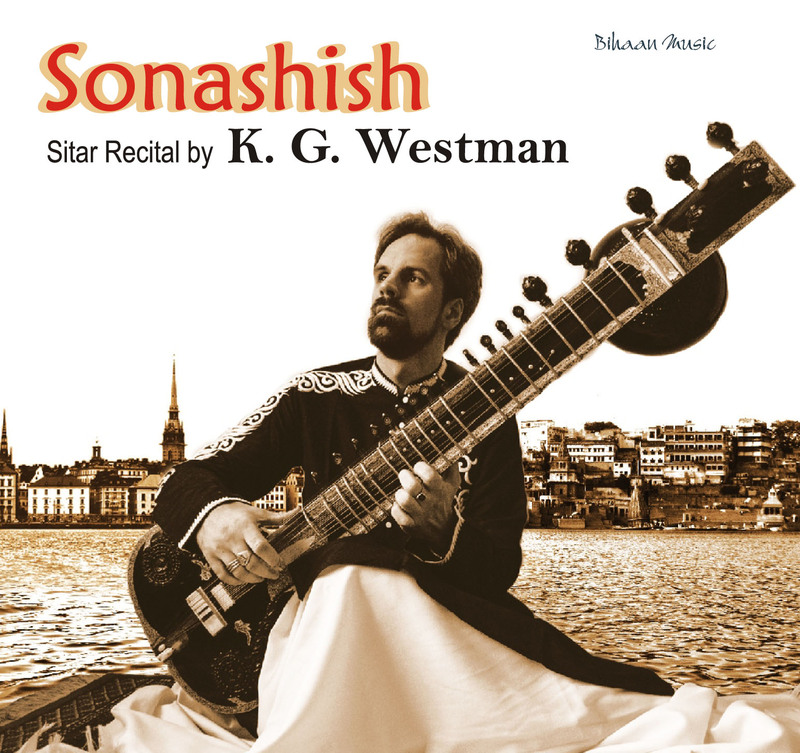 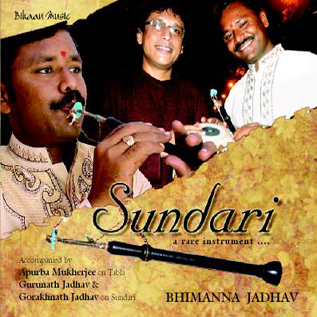 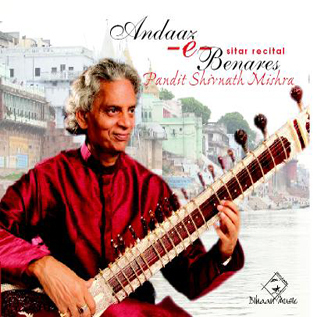 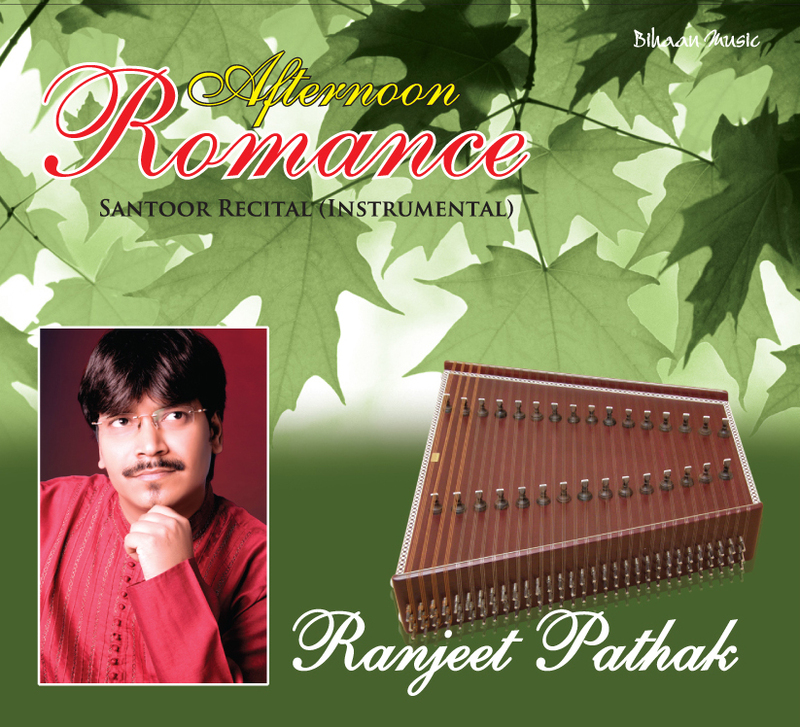 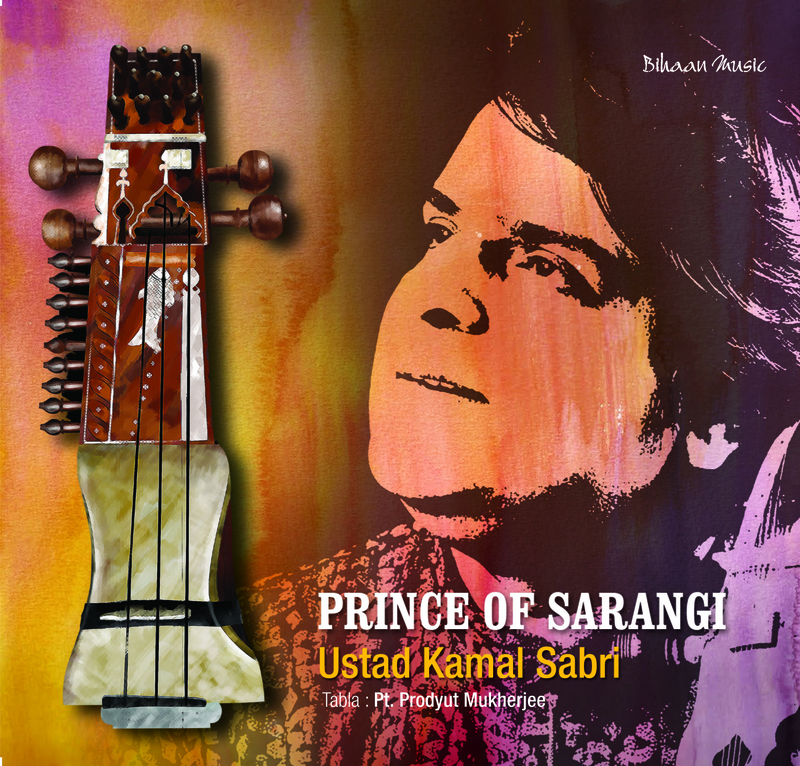 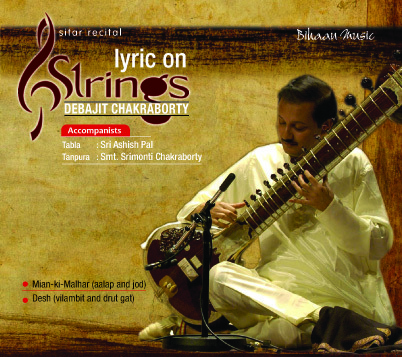 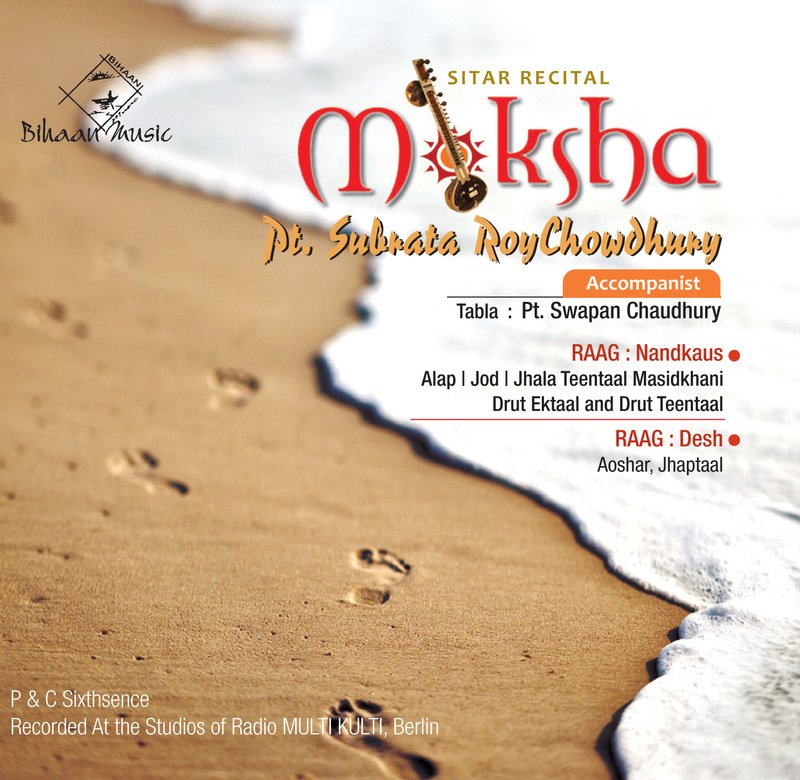 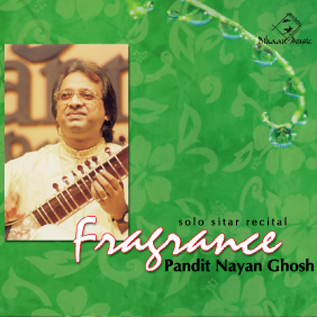 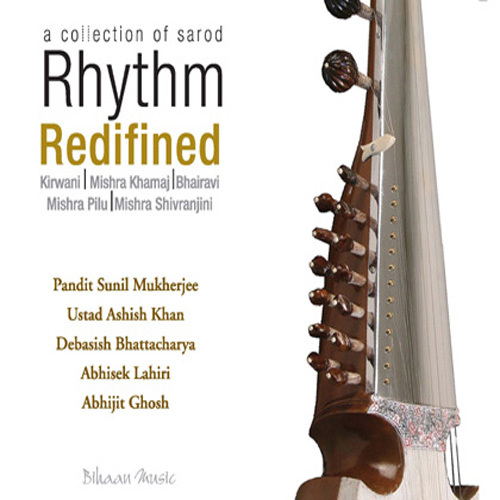 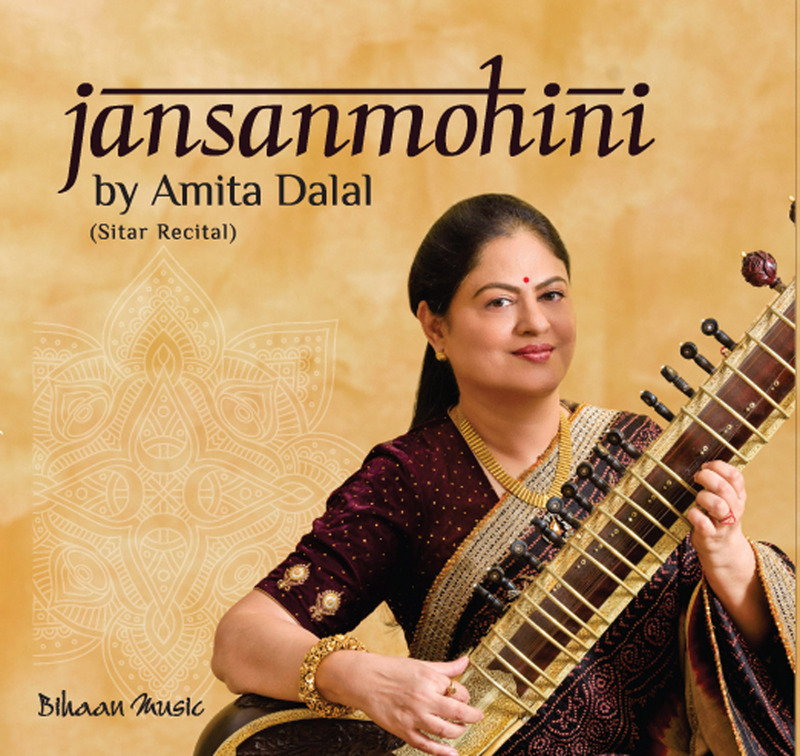 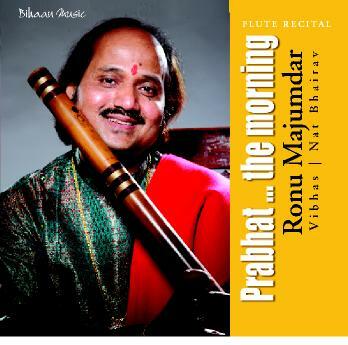 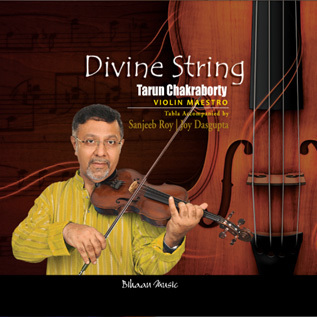 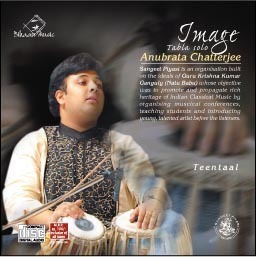 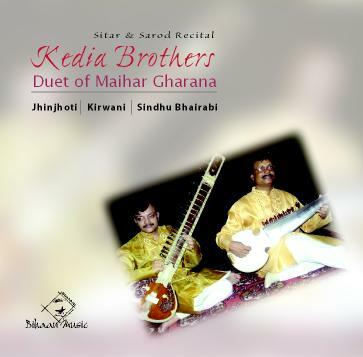 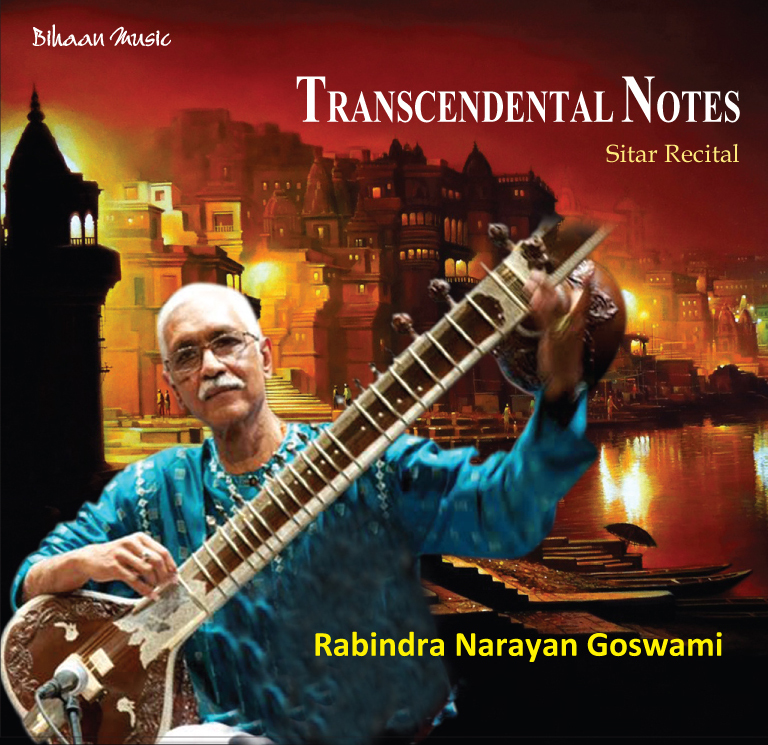 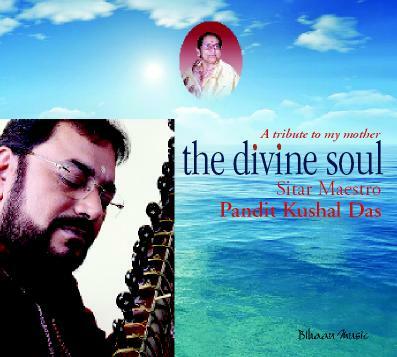 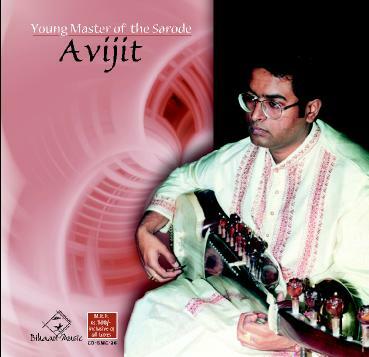 This album illustrates the performances of one of various successor Debasish Bhattacharya of Radhika Mohan Moitra. 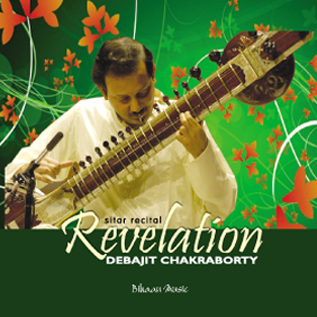 Debasish Bhattacharya is an excellent Sarode Player of the country. 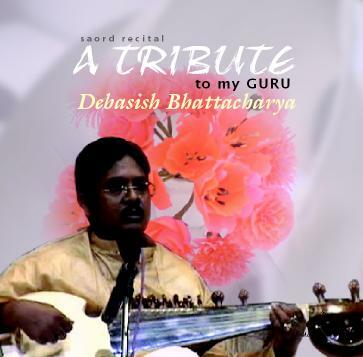 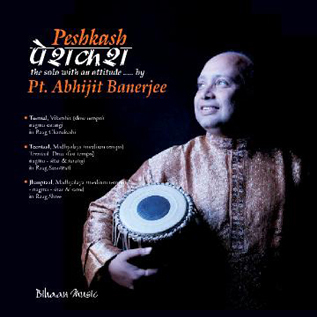 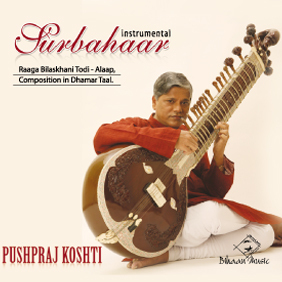 Born in 1963 Debasish comes from a musical family. 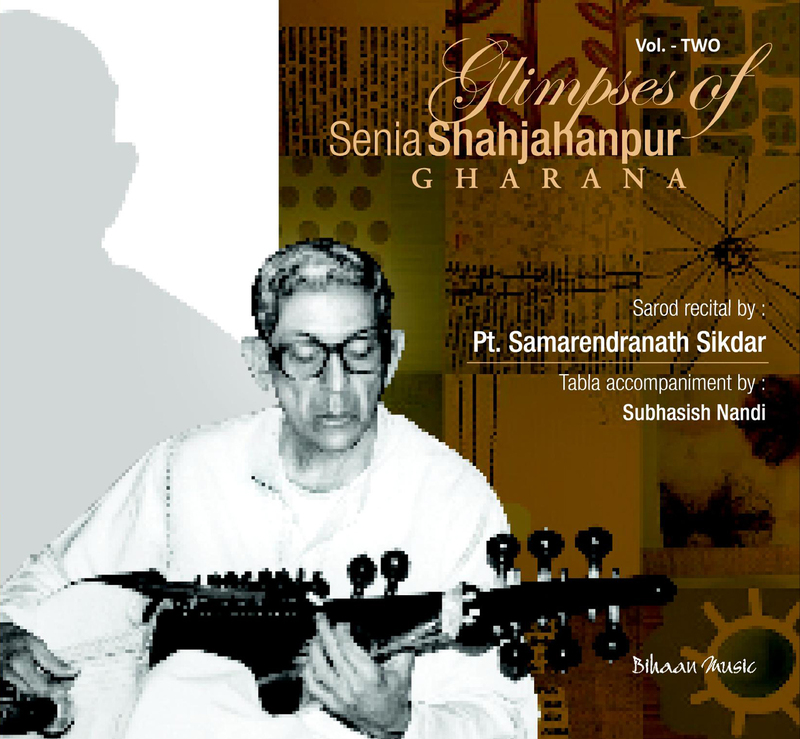 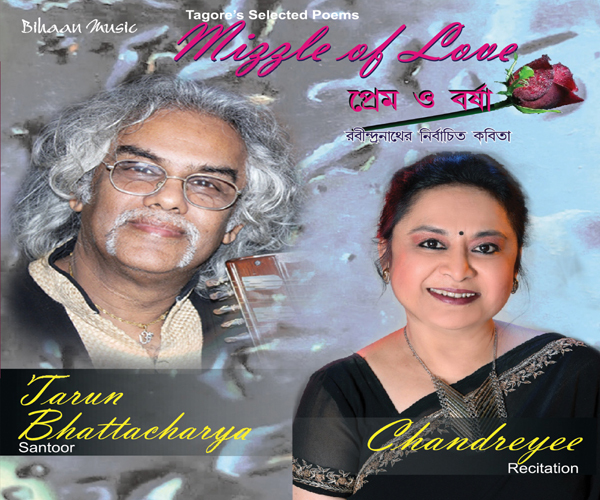 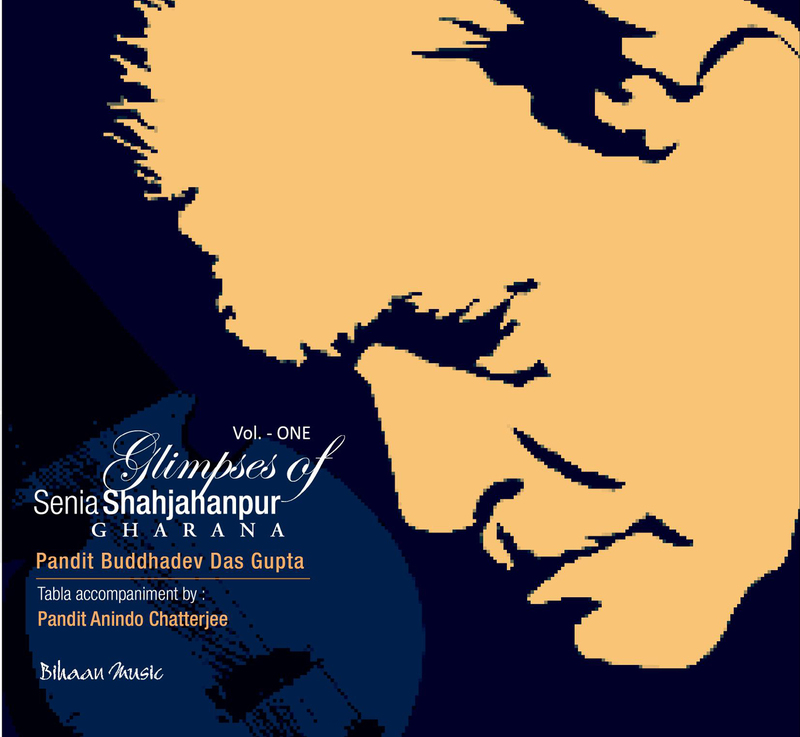 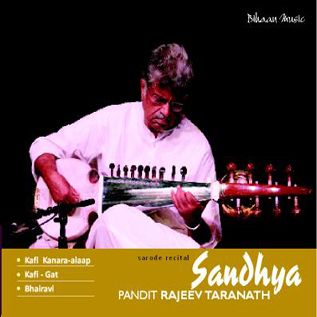 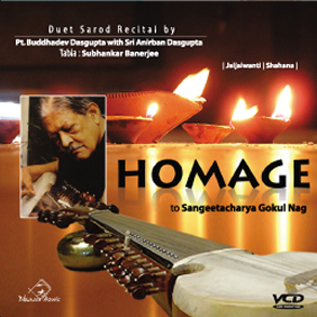 Late Sangeetacharya Kashinath Chattopadhyay of Rampur Sahaswan Gharana was his grand father. 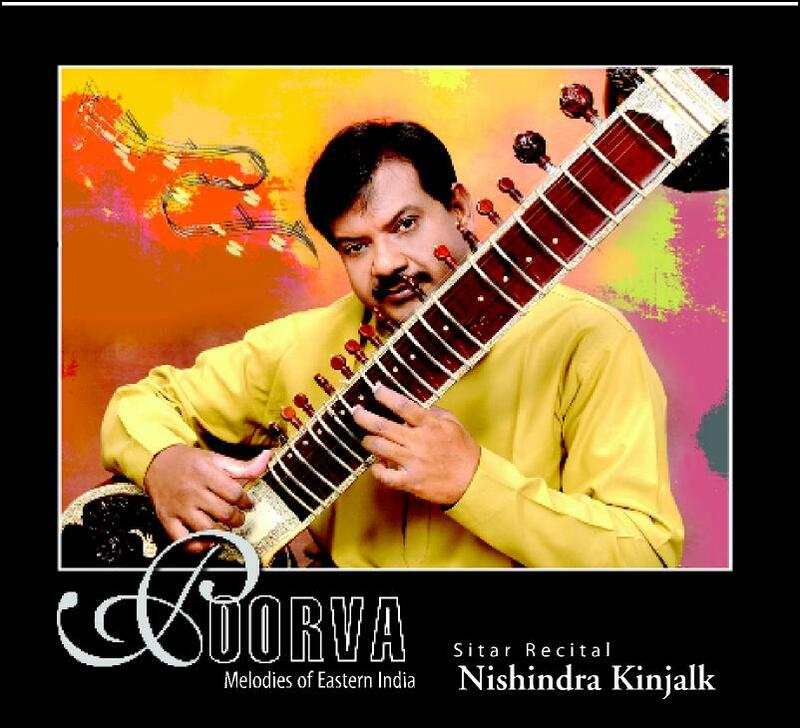 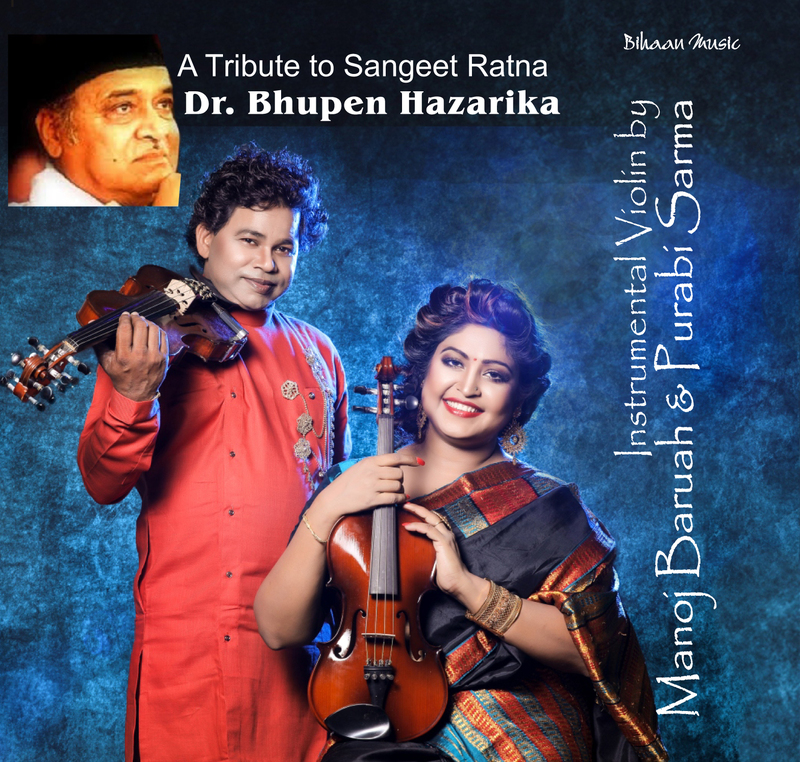 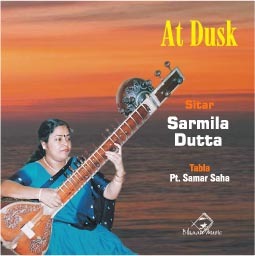 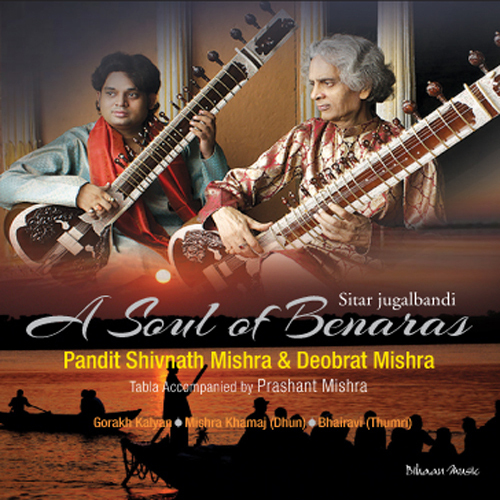 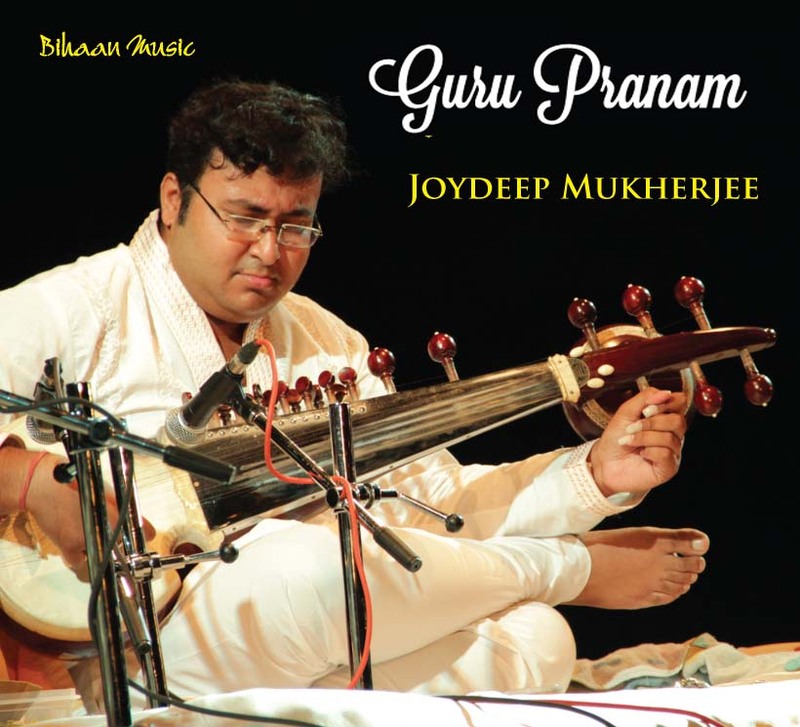 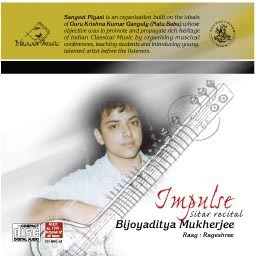 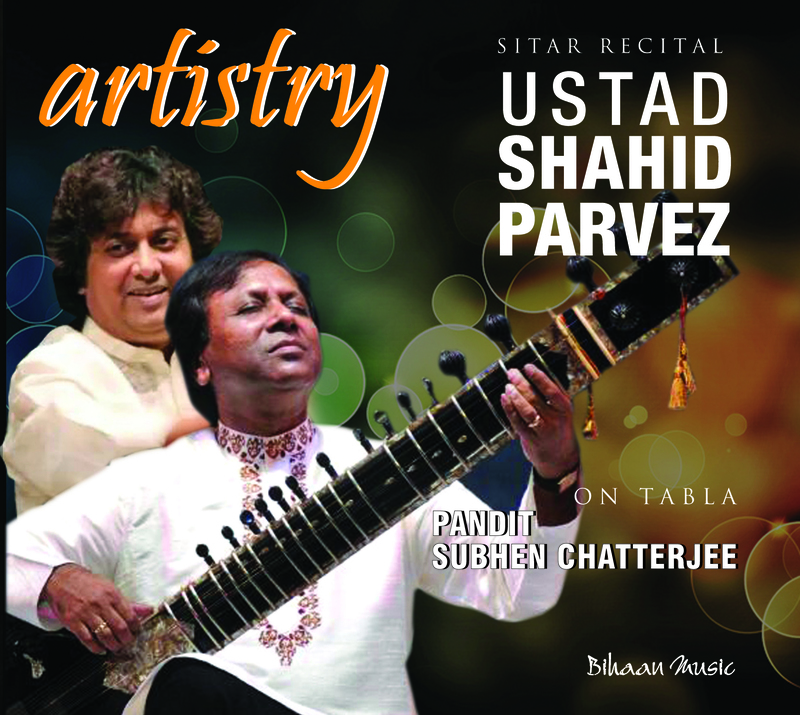 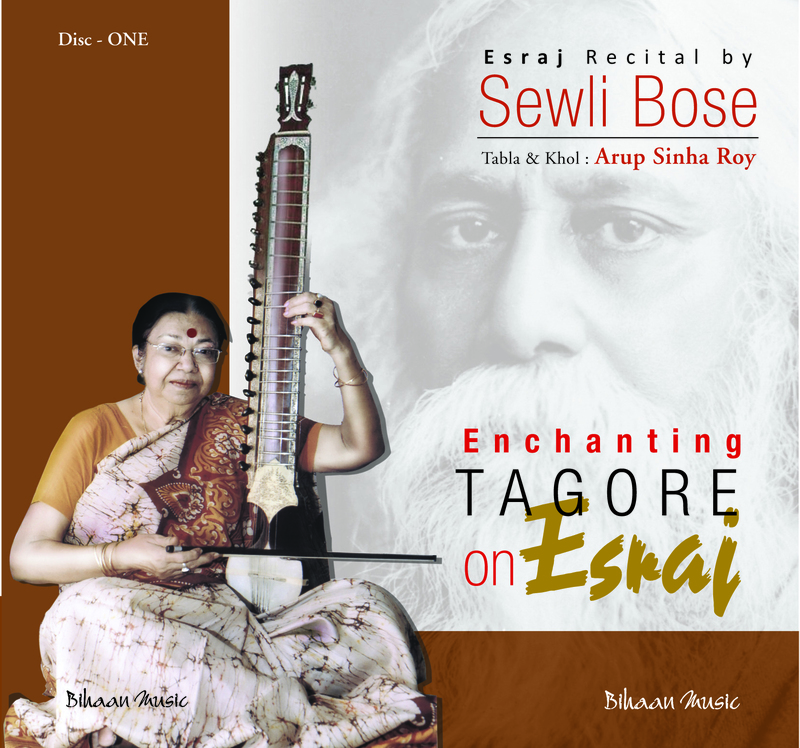 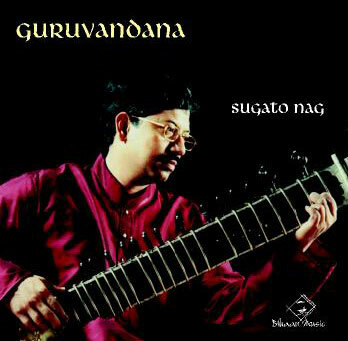 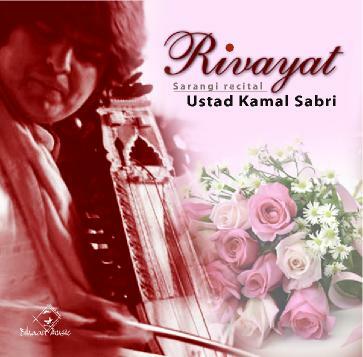 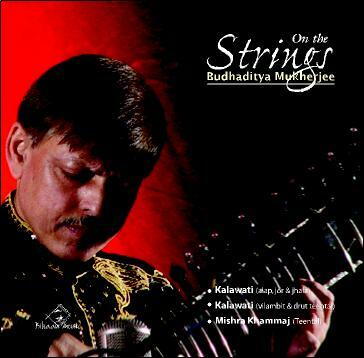 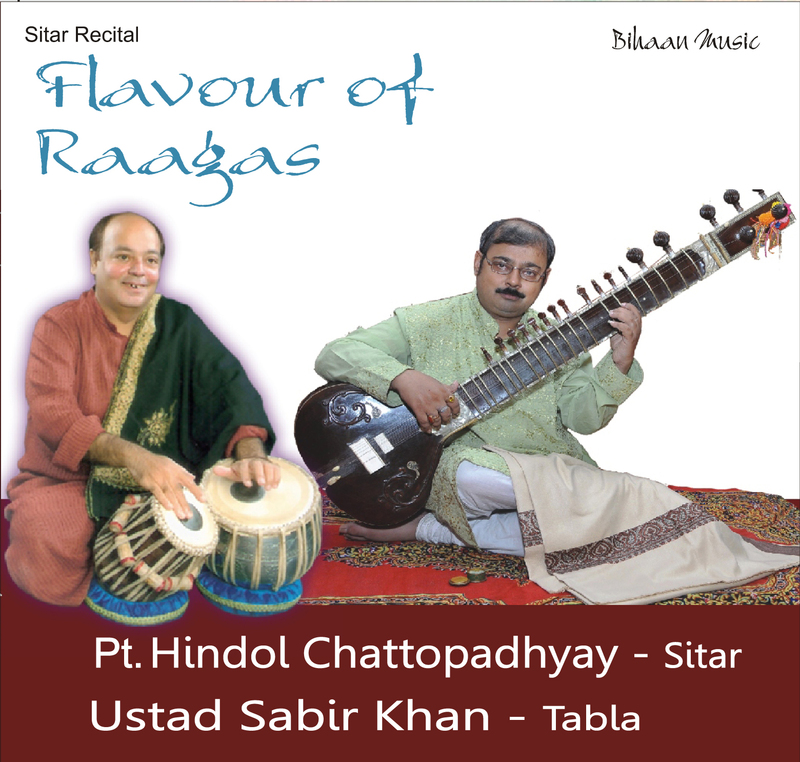 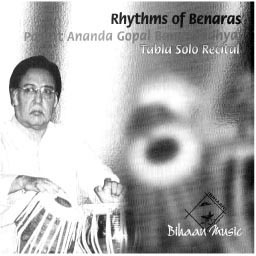 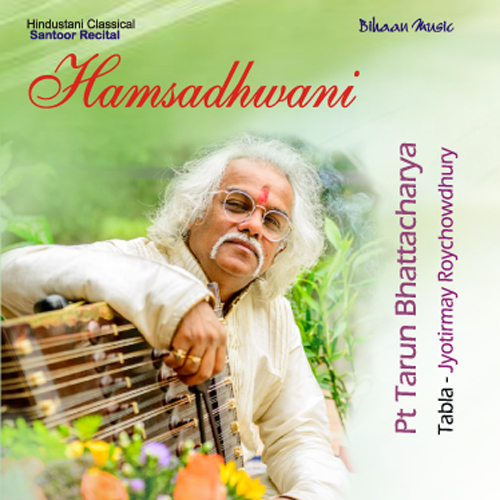 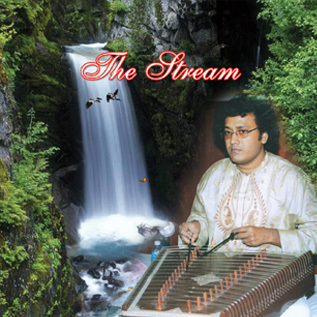 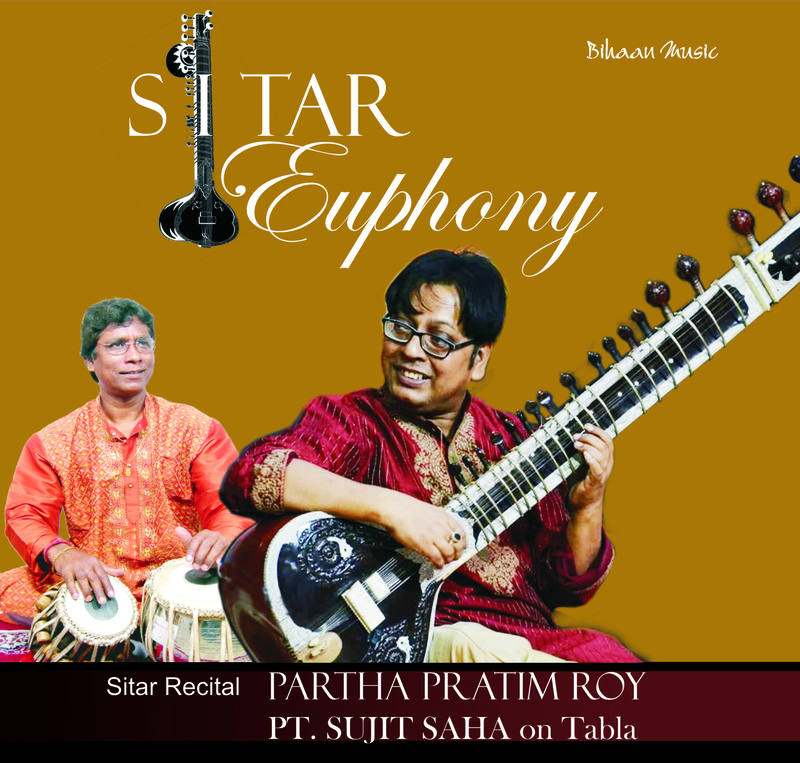 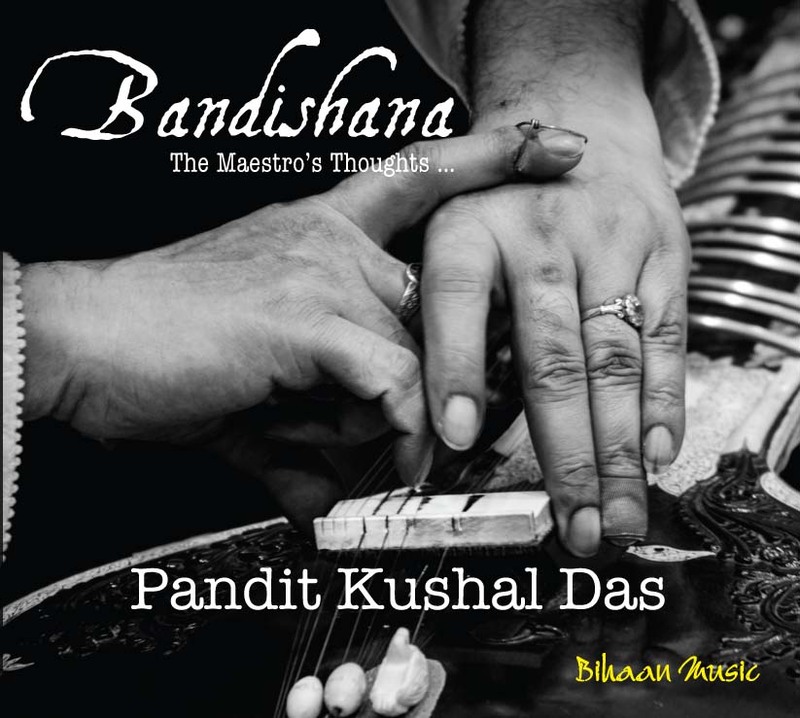 His musical training started at a very early age under the tutelage of his father Shri Shyam Sundar Bhattacharya, an eminent sitar player of that time. 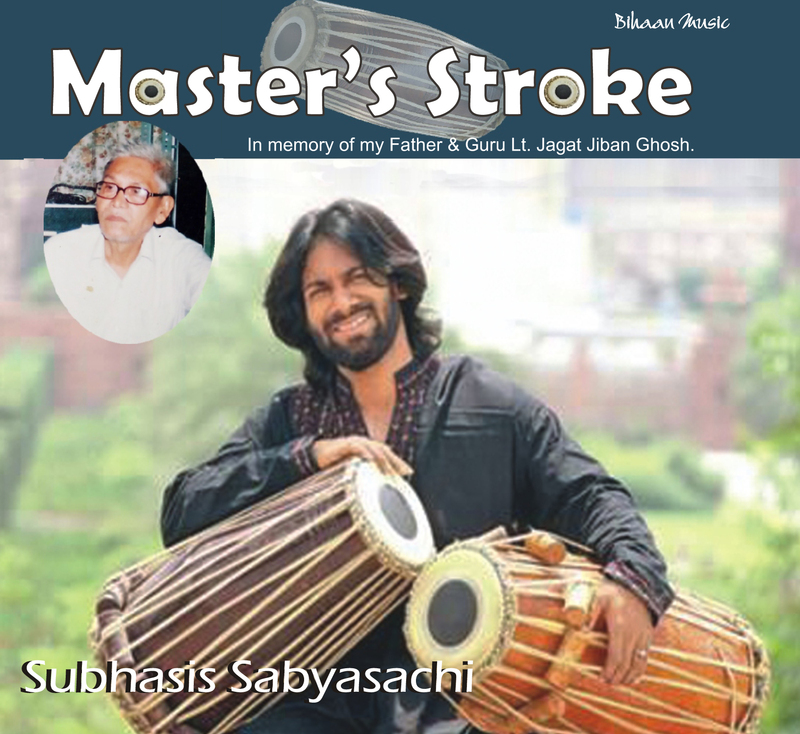 Thereafter he took training for several years with Pt. 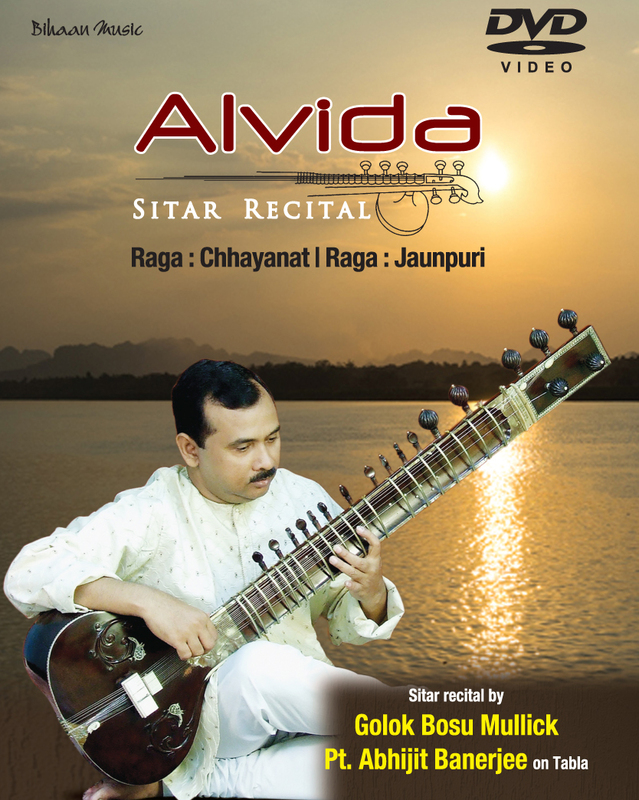 Ravi Laha, a disciple of Pandit Radhika Mohan Maitra. 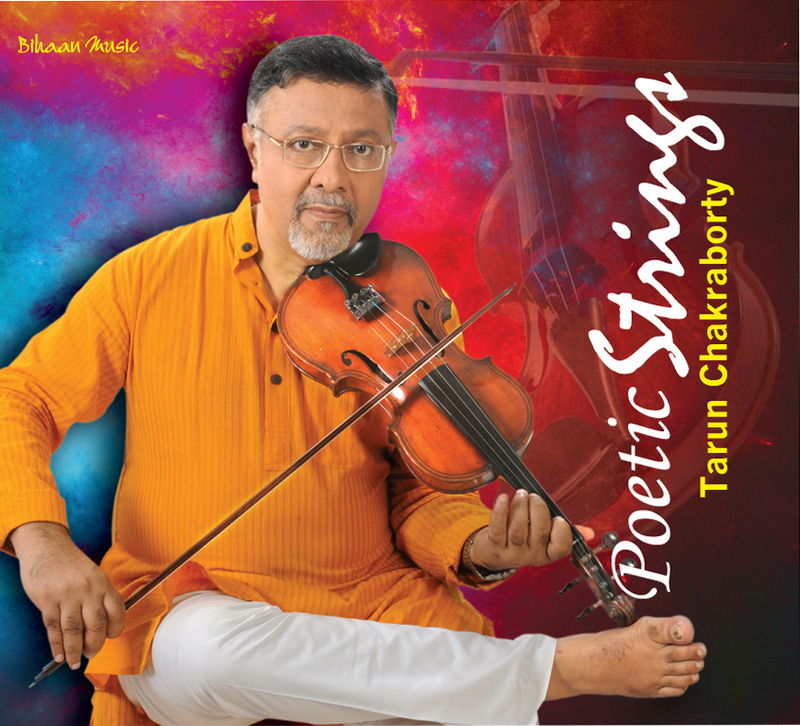 Finally, since 1981 he has been taking extensive talim from Pt. 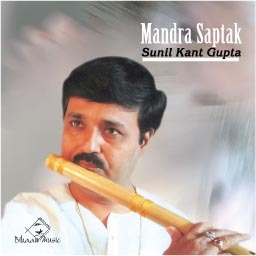 Buddhadev Das Gupta, the ace disciple of Pt. 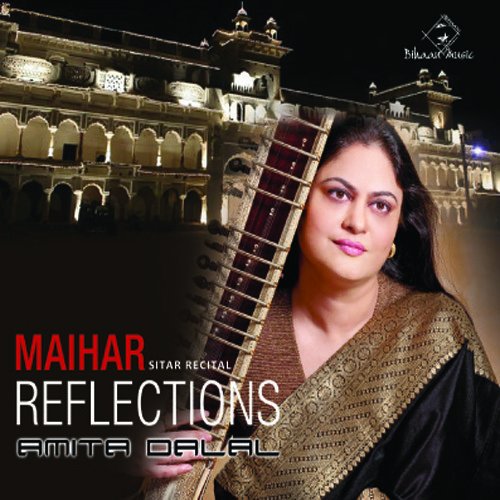 Radhika Moitra. 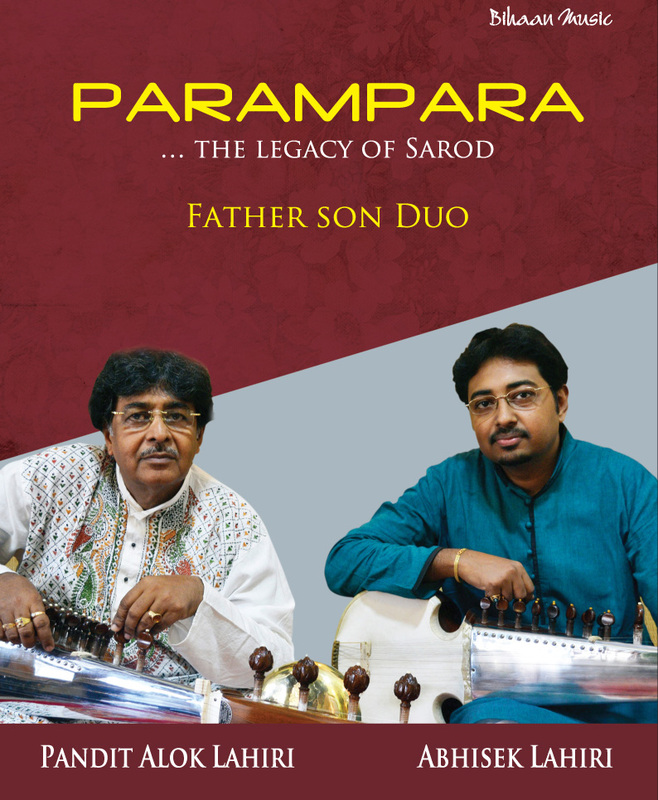 By dint of his hard labour and sincere adherence to the tradition Debashish has carved out a place for himself amongst the foremost Sarodiyas of his generation. 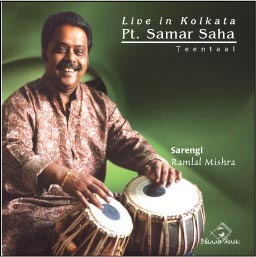 His intelligent applications of extensive indigenous Bol(Banies) Ekharas with gamak with the deft left hand applications make his performances uniquely bright. 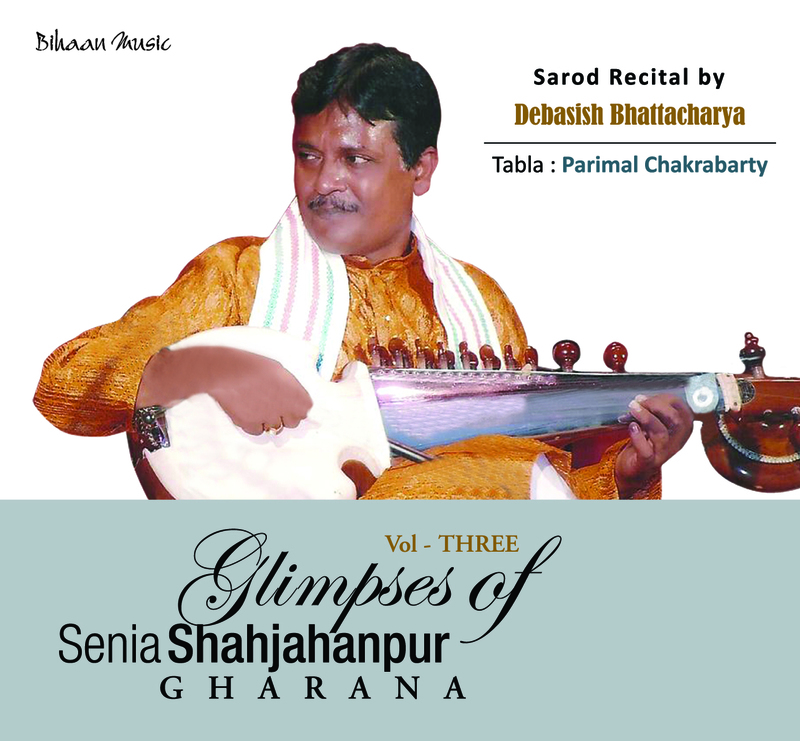 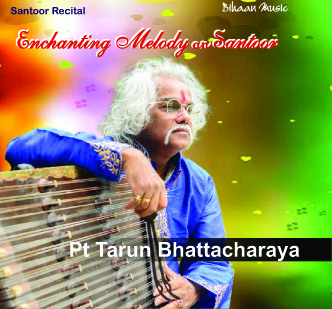 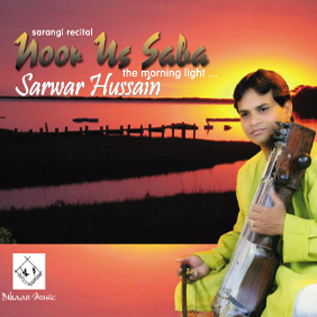 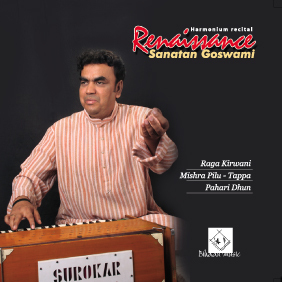 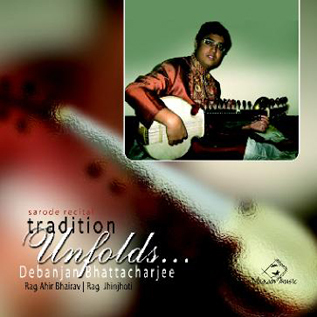 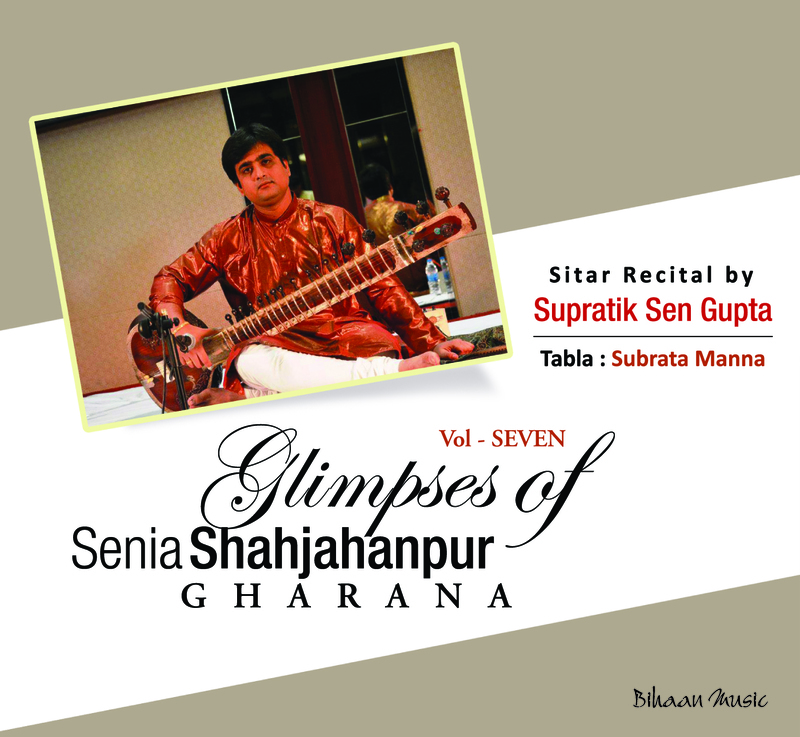 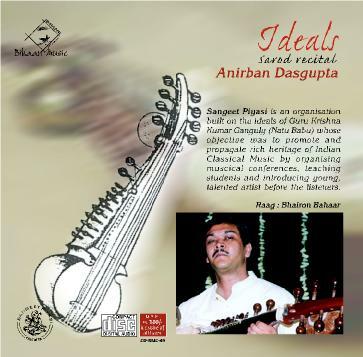 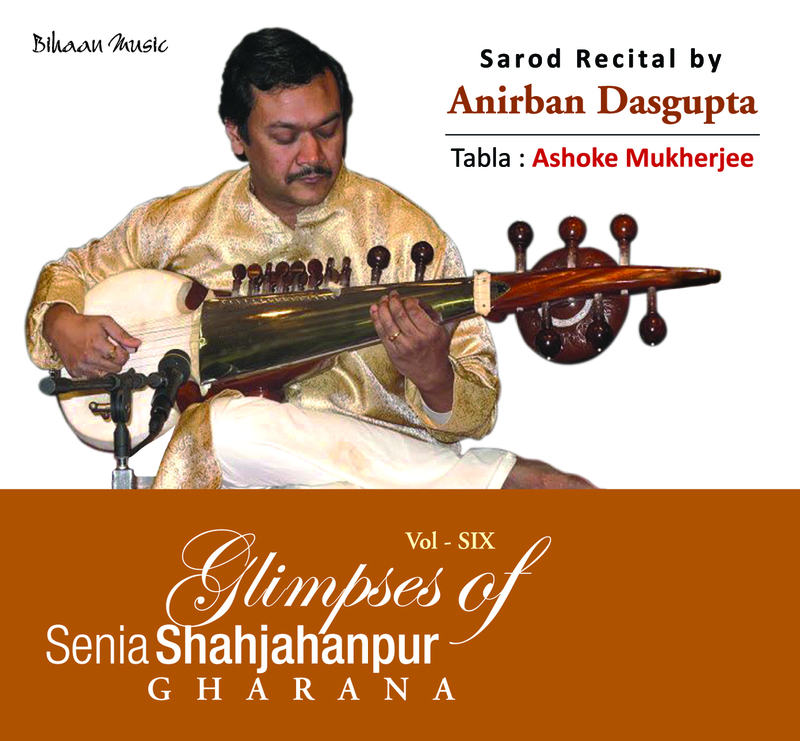 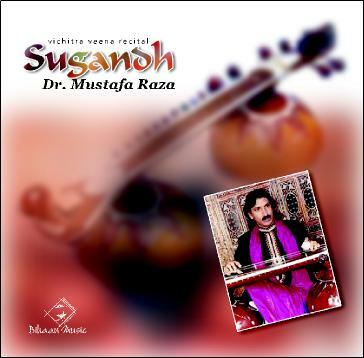 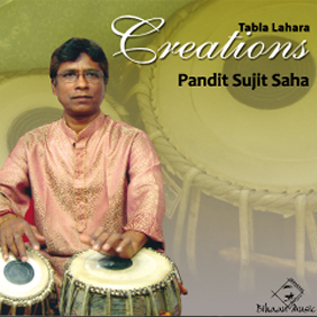 He is a torchbearer of the Senia Shahjahanpur Gharana that evolved from Ustd. 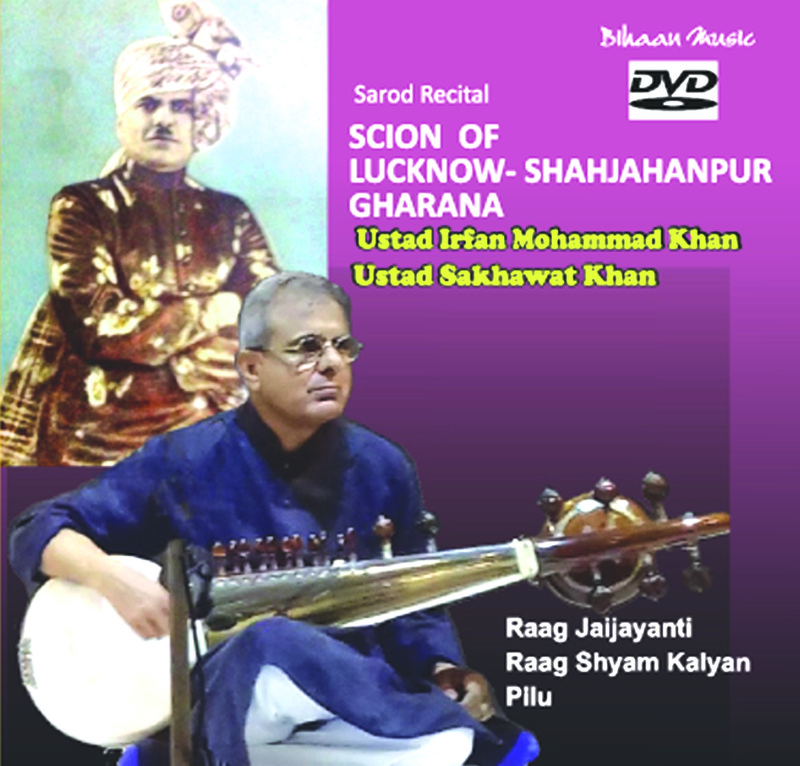 Murad Ali Khan and propagated through his descendants, Ustd. 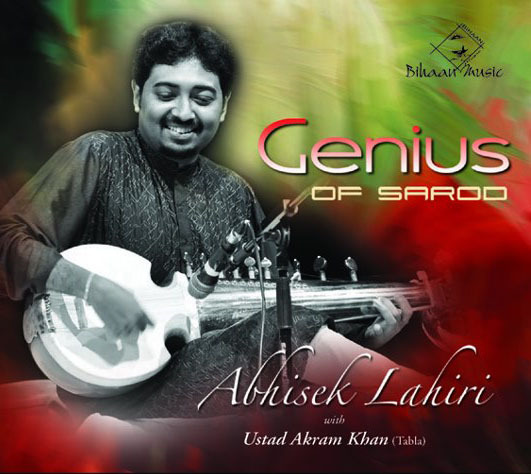 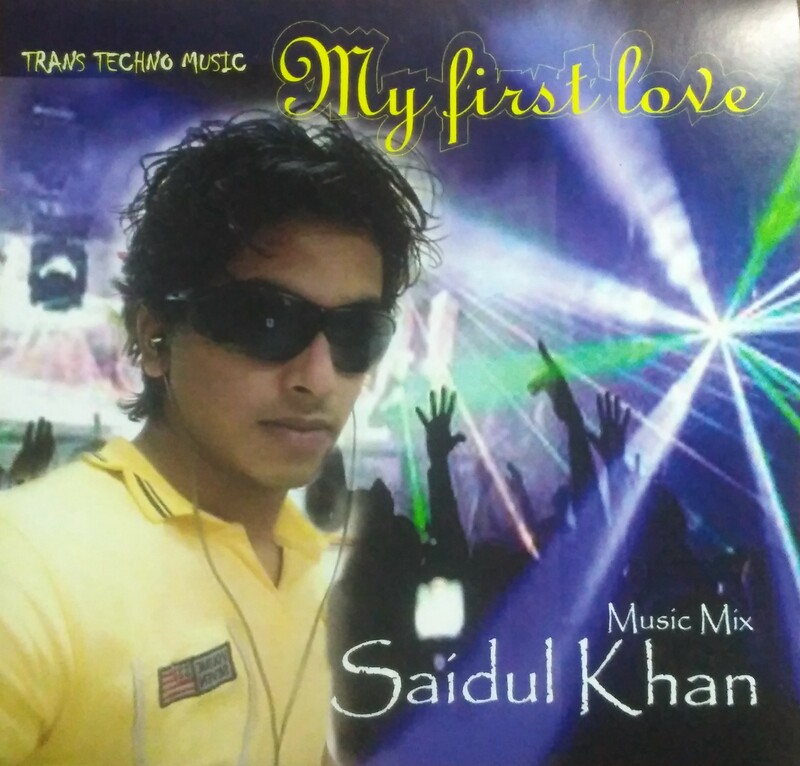 Abdullah Khan, Ustd. 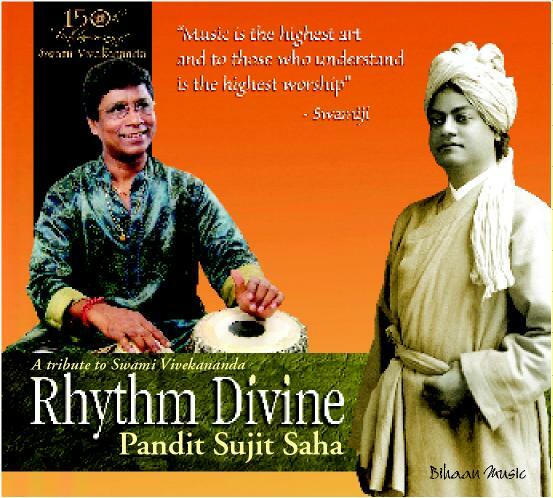 Md Amir Khan, and his celebrated disciple Pt. 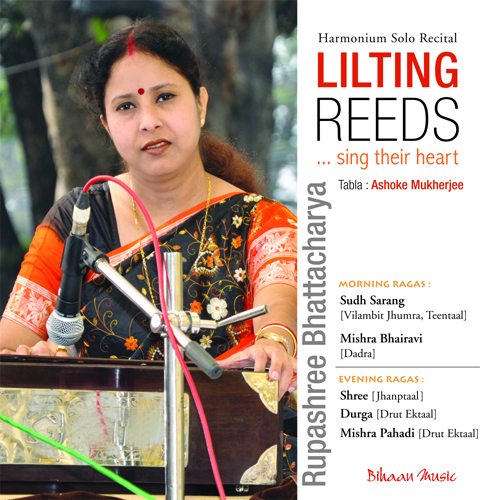 Radhika Mohan Maitra. 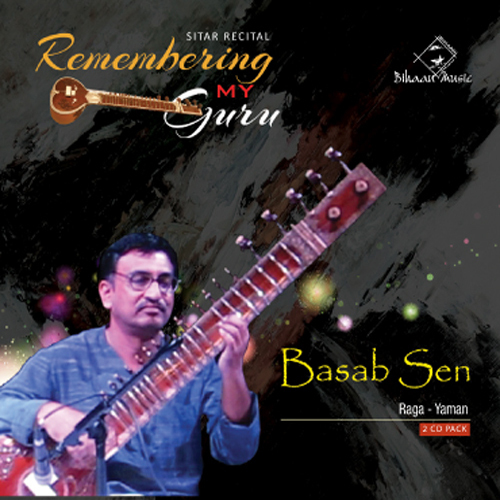 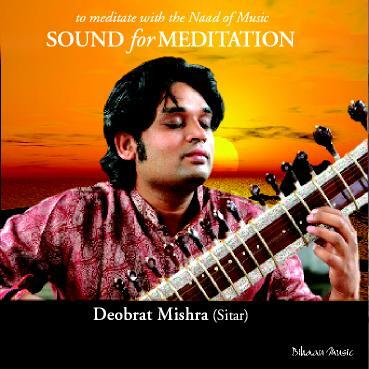 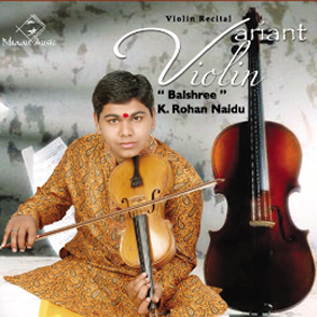 Debasish’s performances have been highly acclaimed at Prayag Sangit Samiti’s Annual Convocation at Allahabad, Madhya Pradesh, Kala Parishad’s conference at Bhopal, Vishnu Digambar Jayanti Festival arranged by Gandharva Mahavidyalayay at Delhi Kumar Gandharva Samaraho, Dewas (MP) and other music conferences throughout the country. 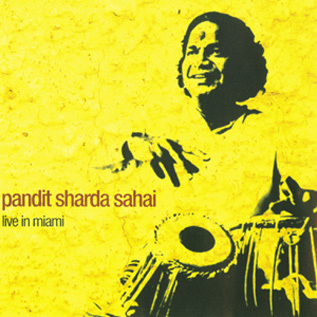 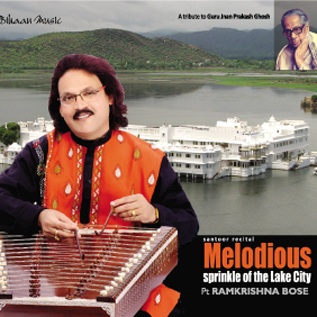 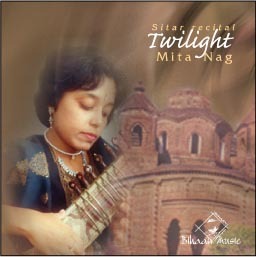 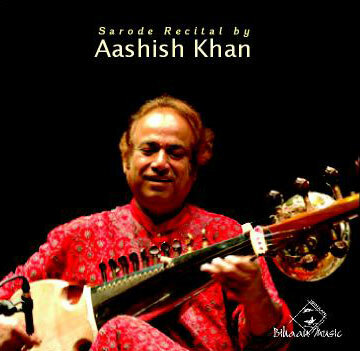 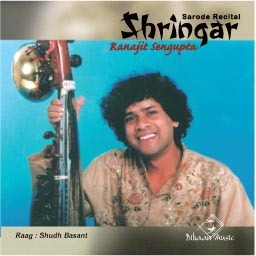 Three times he played for All India Radio in their National programme of music. 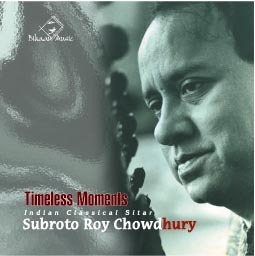 In 1986 he stood first in the All India Radio Music Competition. 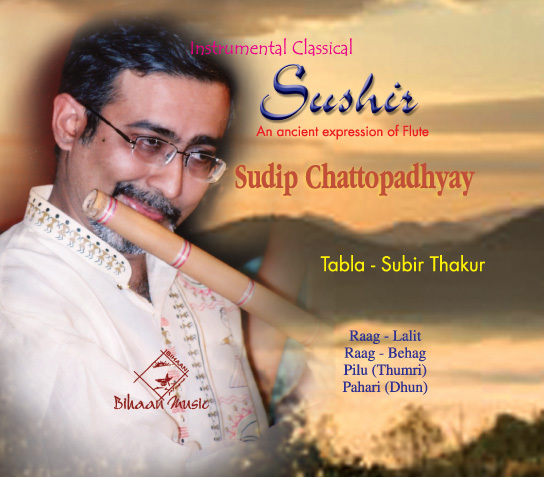 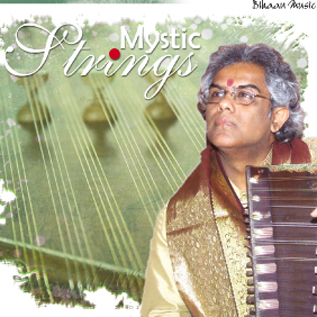 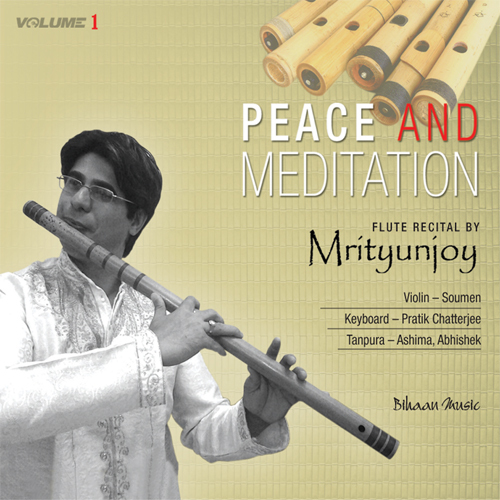 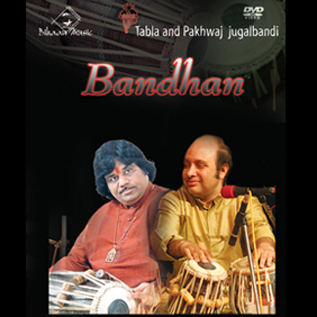 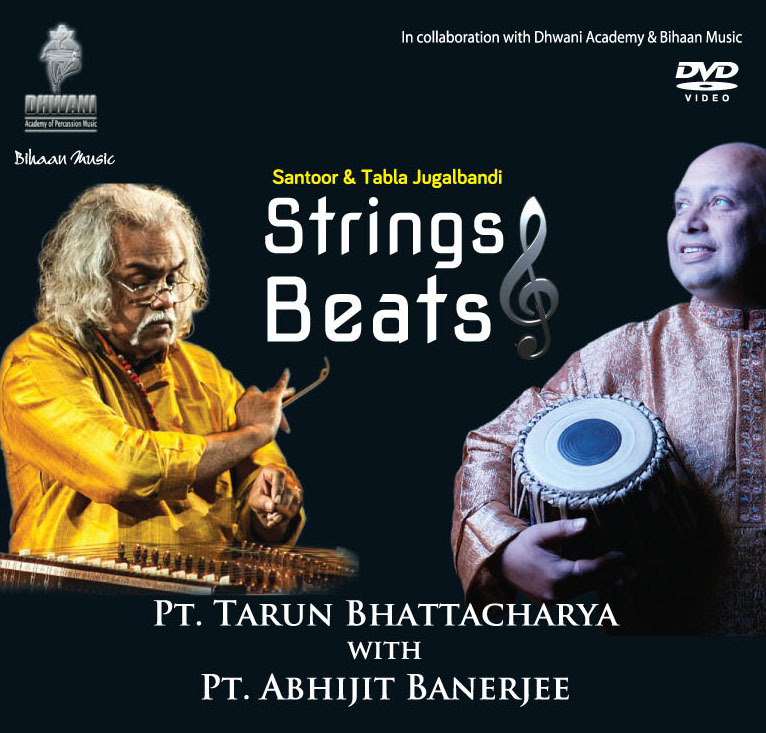 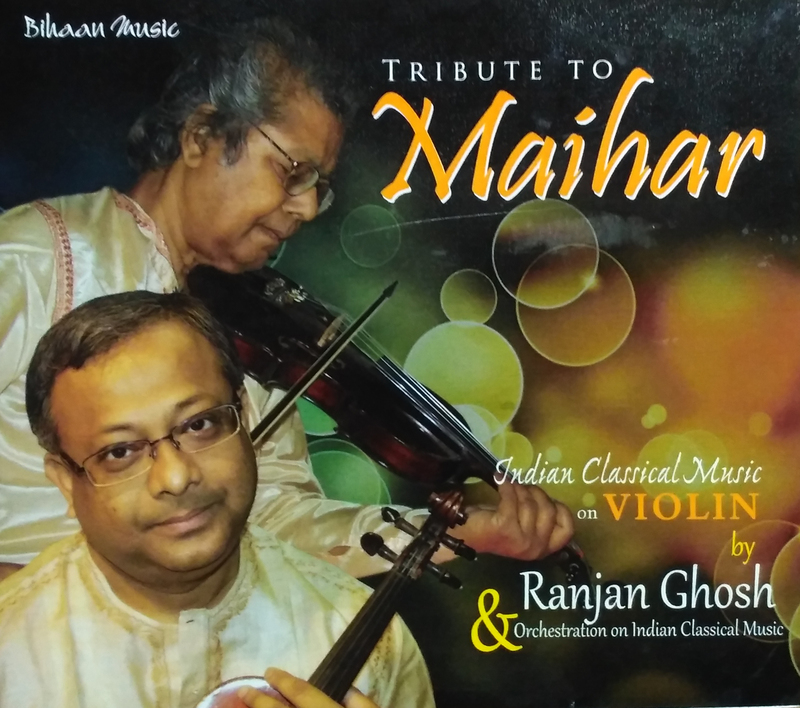 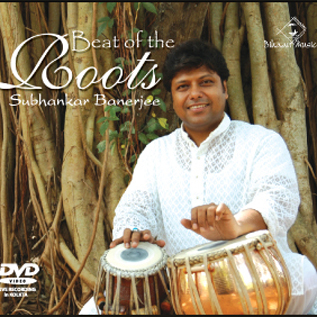 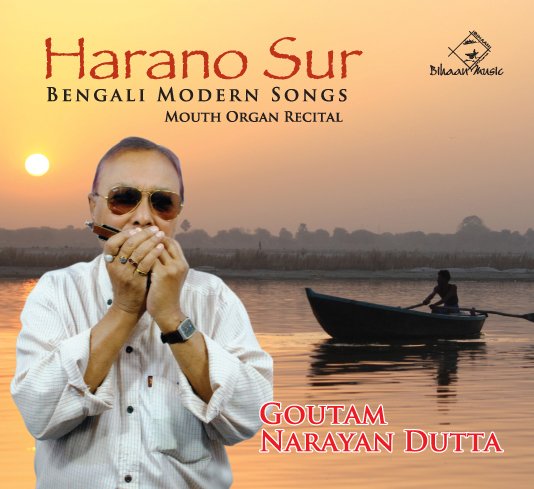 He is an “A” Grade Sarode Player in the All India Radio and TV and also Lecturer at the Department of Instrumental Music, Rabindra Bharati University, Kolkata.